Tricky refresh. Every year, the Californians present a new iPhone. The latest version has a nice design overhaul and the display is now 0.7 inches larger. The performance meets Apple’s claim and is fast. However, the impression is affected by iOS 8, which is not completely smooth yet, with WLAN dropouts and shorter battery runtimes. We had already noticed the hype about the new iPhone when we picked our device up at the Apple Store, since we had to buy our review device. Instead of just going into the store, we had to get in the line for all customers with reservations, the interest was just too big. The line in front of the store was still reasonable, but we had to go further to the back with a couple of hundred Apple fans. Even in the shorter line, we had to wait for two hours before we could get our hands on the device, despite the reservation and the appointment. Some people had been waiting since the evening before to get one of the smartphones. There were also many customers from the neighboring European countries because the iPhone 6 will be released there at a later date. 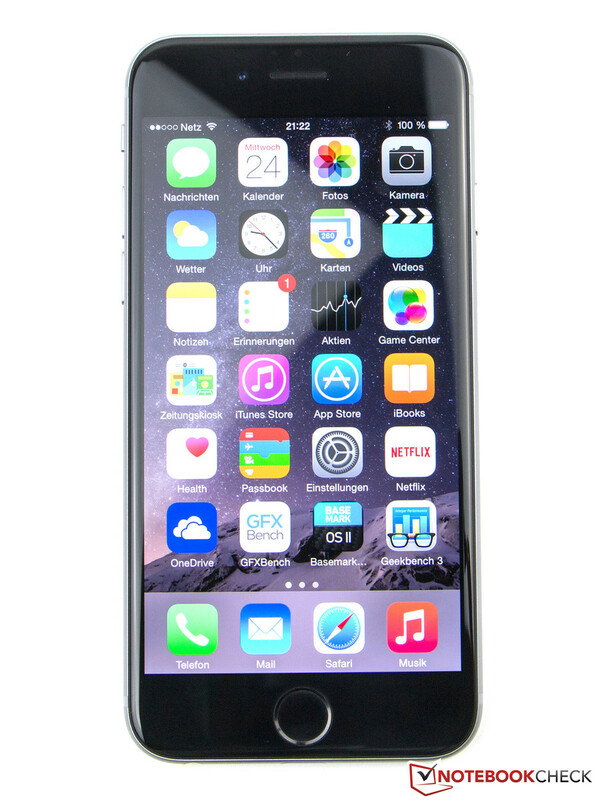 The most apparent change of the iPhone 6 is the overhauled design and the significantly larger 4.7-inch display. Inside you get a new dual-core processor, which is still supported by 1 GB memory. The camera is just slightly improved. You can choose between 16, 64 or 128 GB storage. The smallest version of the smartphone is available for 699 Euros (~$887). Every storage increase costs 100 Euros (~$127) extra, so the high-end version retails for a hefty 899 Euros (~$1141). The latter is also our review device. As you can see, the list of features has not really changed. An NFC chip is finally available and ac-WLAN is integrated as well. The competitors do not have to hide behind the design icon from Cupertino and cannot either due to their larger displays. Samsung's Galaxy S5 (5.1 inches, starting at 435 Euros; ~$552) is currently the benchmark, but HTC's One M8 (5.0 inches, starting at 470 Euros; ~$596), LG's G3 (5.5 inches, starting at 420 Euros, ~$533) or the Xperia models Z2 (5.2 inches, starting at 420 Euros; ~$533) and Z1 Compact (4.3 inches, starting at 340 Euros; ~$431) from Sony are strong rivals with Google Android. High-end smartphones with Windows Phone are pretty rare. As well as the Nokia Lumia 930 (5 inches, starting at 399 Euros; ~$506), there is the HTC One M8 with Windows, but it is not available in every country yet. 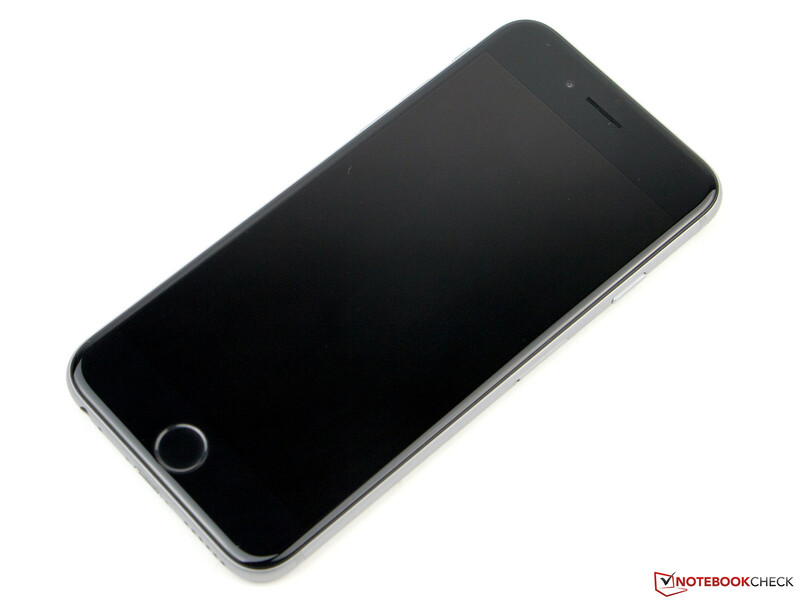 If you like bigger phones, you could also choose the larger Apple iPhone 6 Plus (5.5 inches). The iPhone 6 is bigger than its predecessor. No criticism in regard of the gaps. Apple still uses proven high-quality materials like aluminum and glass. The smartphone is now bigger because of the larger display, but at 6.9 millimeters (~0.27 inches) it is also thinner than its predecessor iPhone 5s (112 grams; ~0.25 lb, 7.6 millimeters; ~0.3 inches). However, you should consider that the camera lens at the back is not flush with the rest of the case and is protruding by around one millimeter. 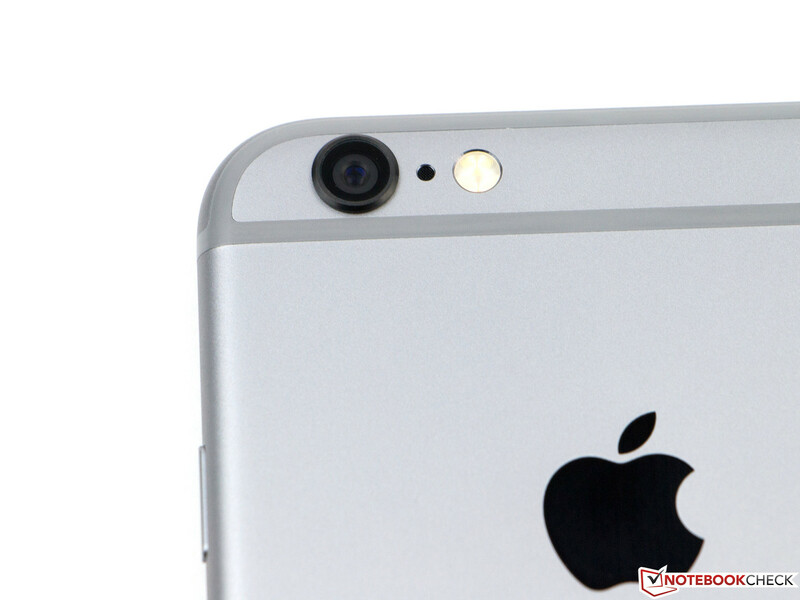 This means the iPhone 6 is even slightly thicker when you add the lens to the thickness. 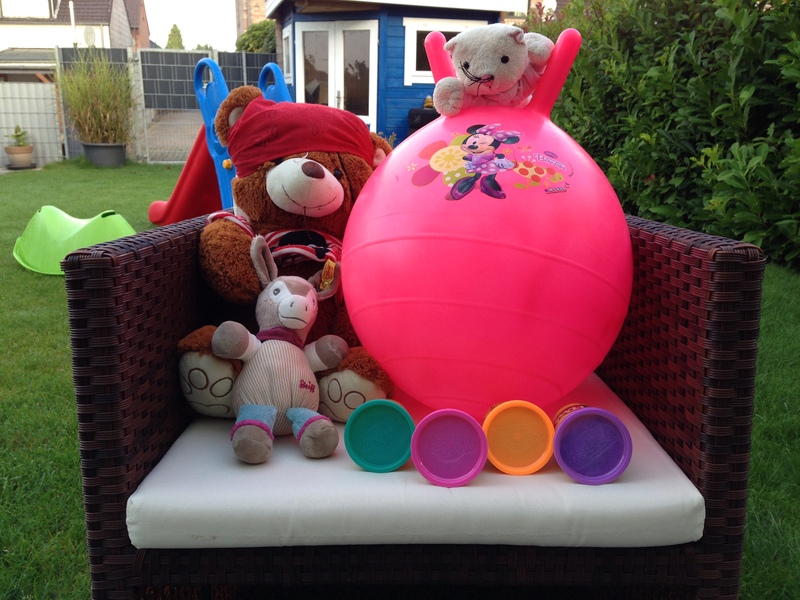 The design itself has been completely reworked, it is now much rounder and really comfortable to hold. 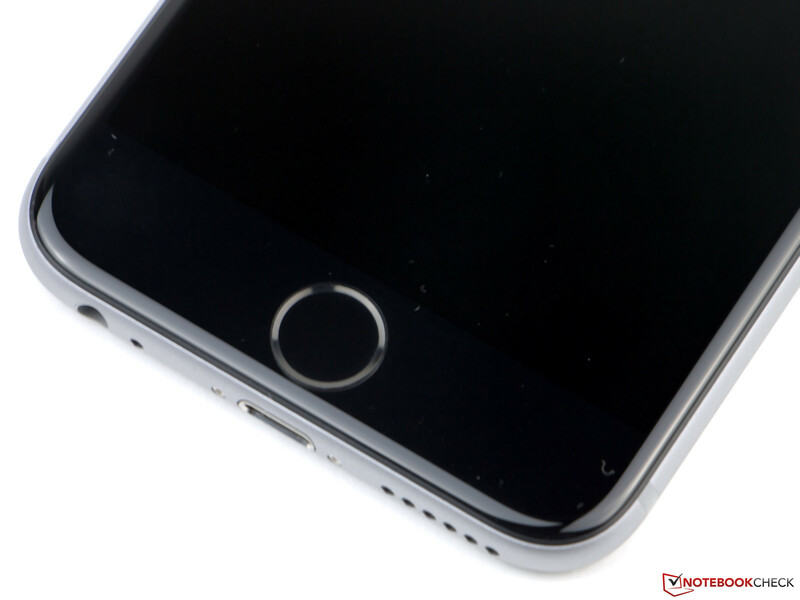 The transition between the rounded as well as scratchproof display glass and the aluminum body is hardly perceptible. It feels much thinner and lighter compared to the iPhone 5s, which almost looks a bit bulky in a side-by-side comparison, even though it is actually lighter. But that is only noticeable if you hold them both in your hands. The new model is just 17 grams (~0.04 lb) heavier with a total weight of 129 grams (~0.28 lb). The build quality is great and pretty much unrivaled. 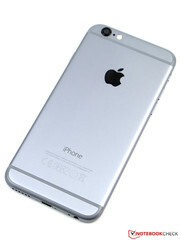 The iPhone 6 leaves a robust impression, is torsion-resistant and not susceptible to force. We could neither hear any creaking sounds nor create picture distortions. There is absolutely no cause for criticism here, great. The battery is once again integrated and is only supposed to be replaced by an authorized service partner. 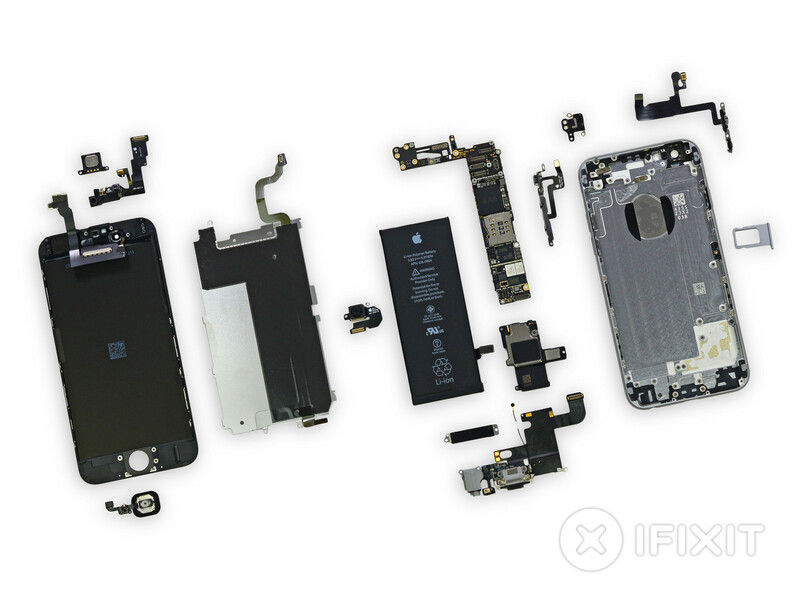 Our colleagues from iFixit already took the latest product from Apple apart and gave it a good rating for maintainability. They even praised the good accessibility of the battery in particular. 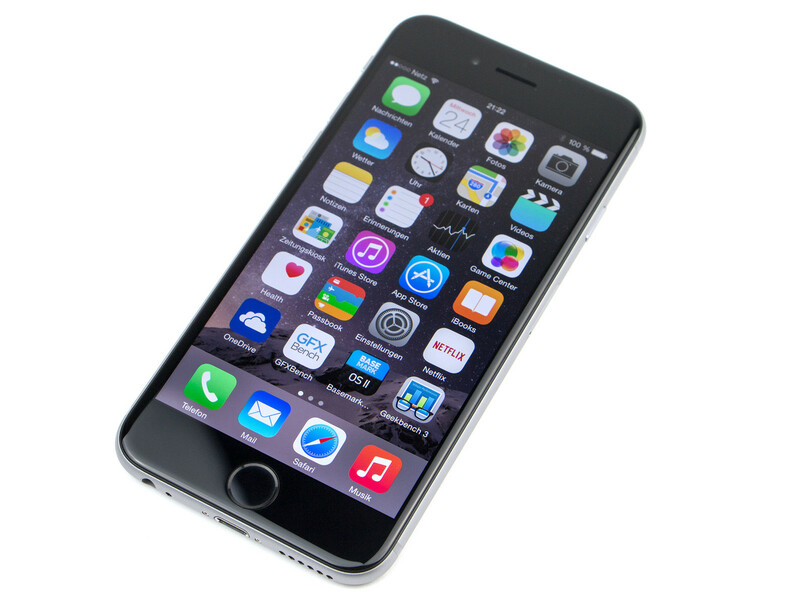 The connectivity of the Apple iPhone 6 is basically identical to its predecessor. The only physical connector is the Lightning port, which can be used to connect the smartphone with a computer or charge the battery. You can also spend some money on corresponding adaptors so you can use the port for video transfers (HDMI or VGA) or use it as a card reader. It is still not possible to expand the storage capacity via micro SD cards. Wireless transfers of media files are only possible via AirPlay. The Apple iPhone 6 is delivered with the brand-new iOS 8. The manufacturer claims it is the biggest update so far, but the number of powerful new features is limited. Instead, the manufacturer changed many details of the operating system and improved the handling at some points. The Message app, for example, gets some improvements and can now send voice recordings, pictures as well as videos with a simple finger tap. 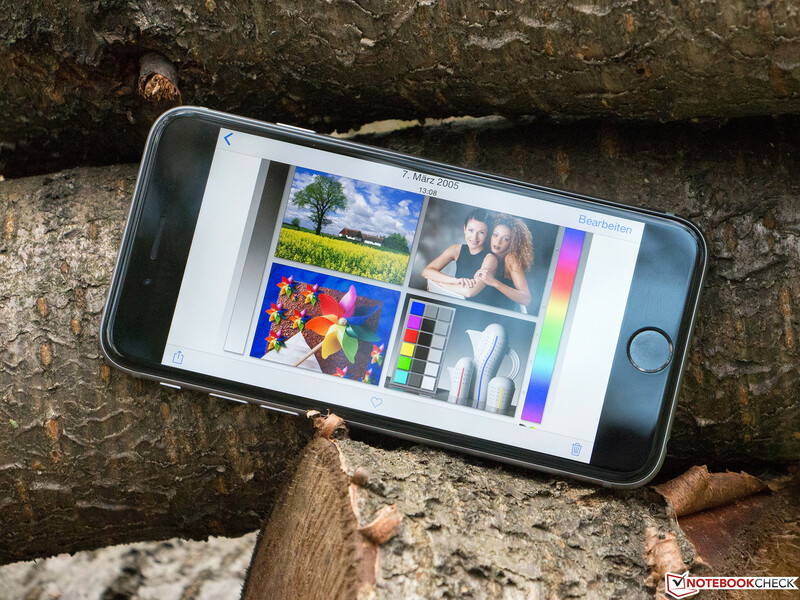 The editing of pictures within the Pictures app is faster and simpler as well, and you can now integrate third-party apps. You can also search for pictures. 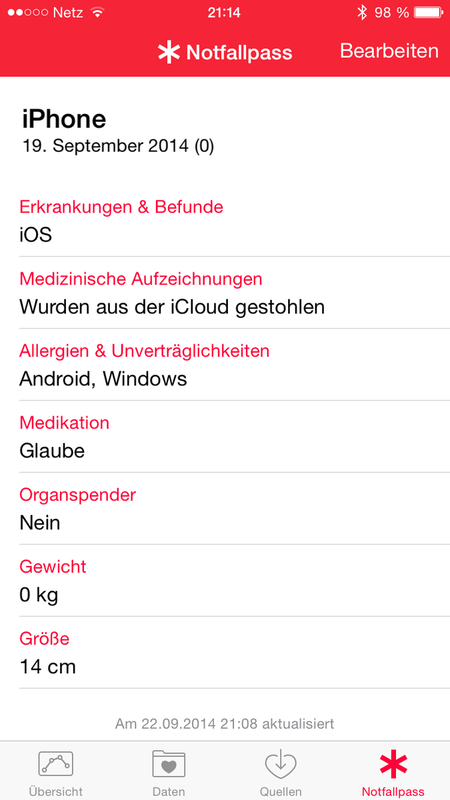 The Health app, is new, it collects health information and manages them in one central place. Third-party apps can provide data as well, and you can create an emergency page with your most important information. 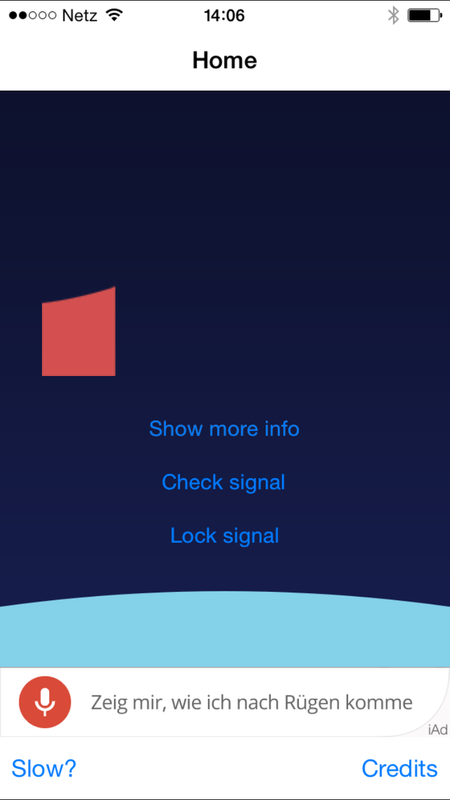 This page can also be accessed from the lock screen without unlocking the phone. One of the most obvious changes is the additional row in the list of opened apps. Above the apps you can now find your favorites and previously used contacts. 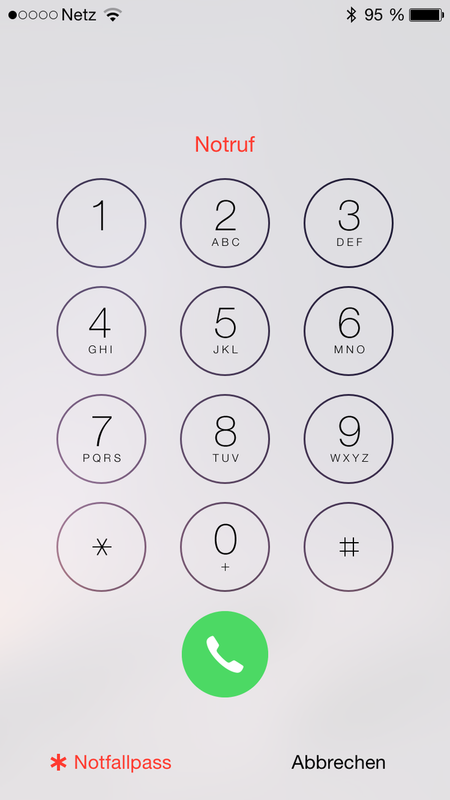 Tapping on a contact field opens a split menu where you can choose to start a call or see the message history. The Mail app was reworked as well. 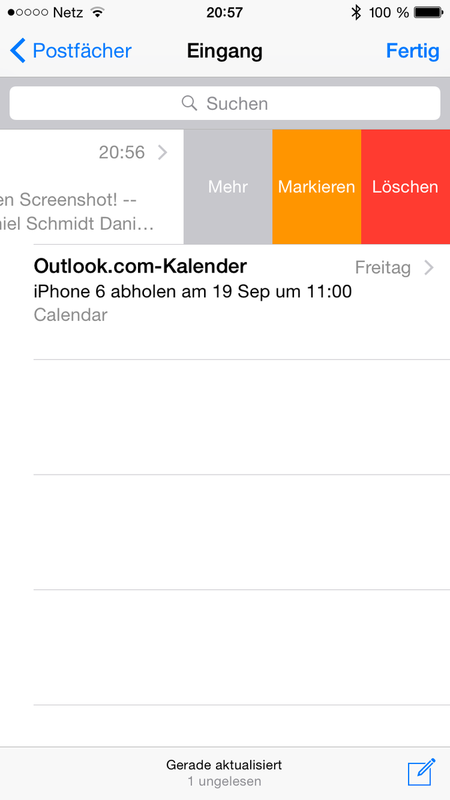 It is now easier to mark and delete mails with a menu when you swipe from the right side of the screen. The feature Continuity is probably the biggest innovation in iOS 8, but the functionality is still limited. It is supposed to enable working with apps across multiple devices. 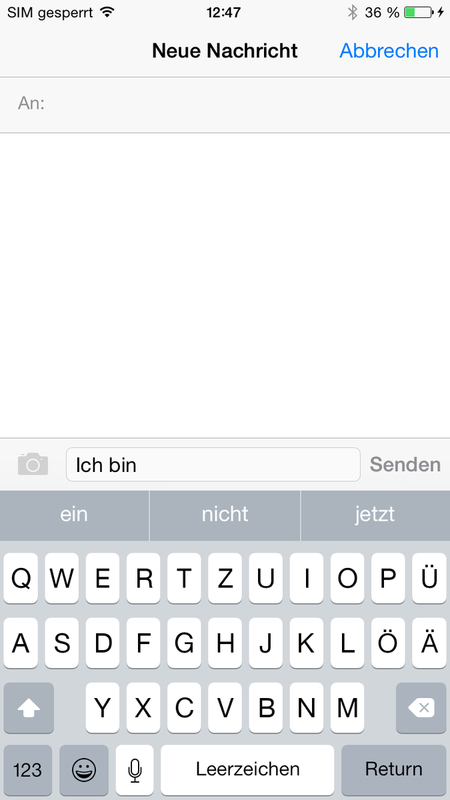 You can, for instance, start an iMessage on your iPhone and finish it on your Mac. This is supposed to work with mails, text messages and documents as well. However, this feature is not yet available and will be introduced with the upcoming Mac OS X 10.10. 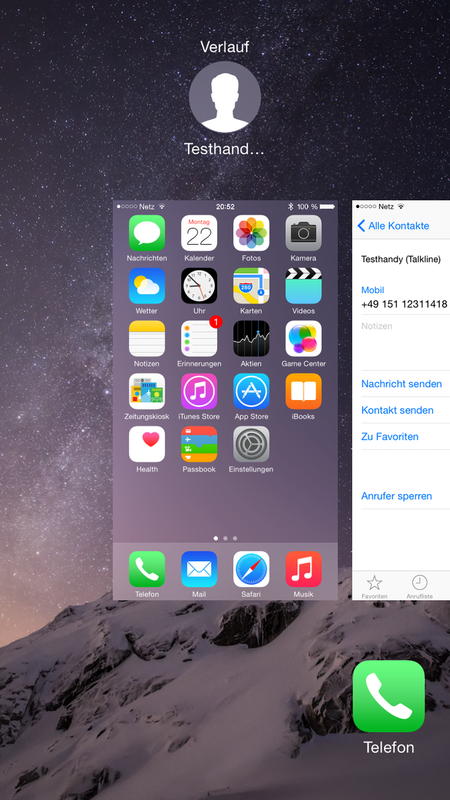 It is now also possible to take WLAN calls with an iPad or another iPhone. Both features can only be used with Apple products, so you cannot benefit from the features if you only have an iPhone or an iPad. 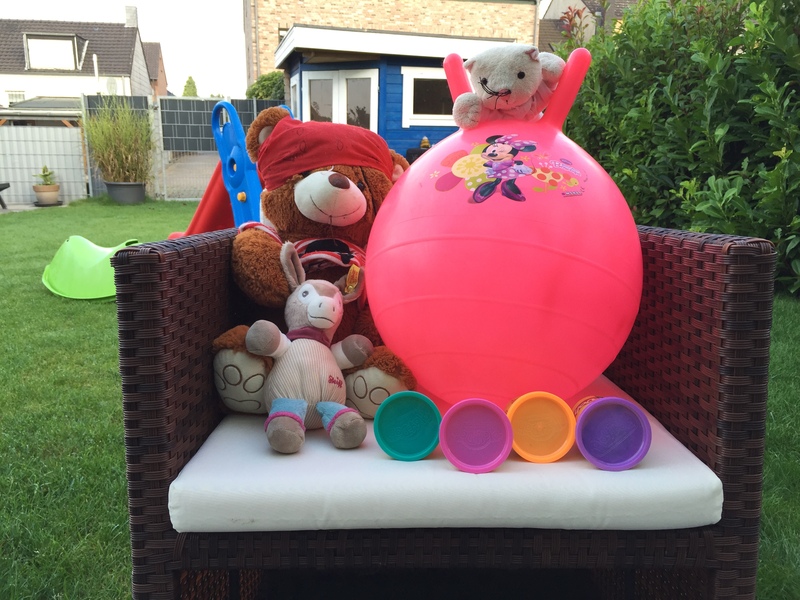 A very handy feature is the possibility to share purchases from the App Store, iTunes or iBooks with up to six other family members without additional costs. It is also possible to deposit a credit card for several family members. These are just a couple of new features in iOS 8, but they are probably most noticeable for iPhone users. There are certainly some nice new functions, but we would have expected more from a completely new software. It also seems that the current software still needs some improvements. There can be occasional stutters, especially after you close very complex applications. 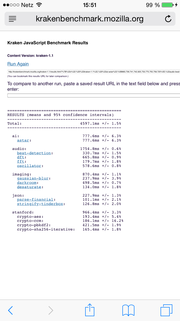 The benchmark Browsermark 2.1 continuously crashed in Safari and restarted without ever finishing. 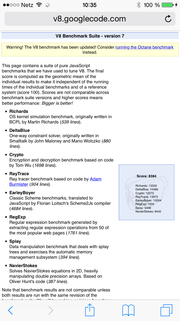 We were, however, able to get a result from the benchmark after several attempts. 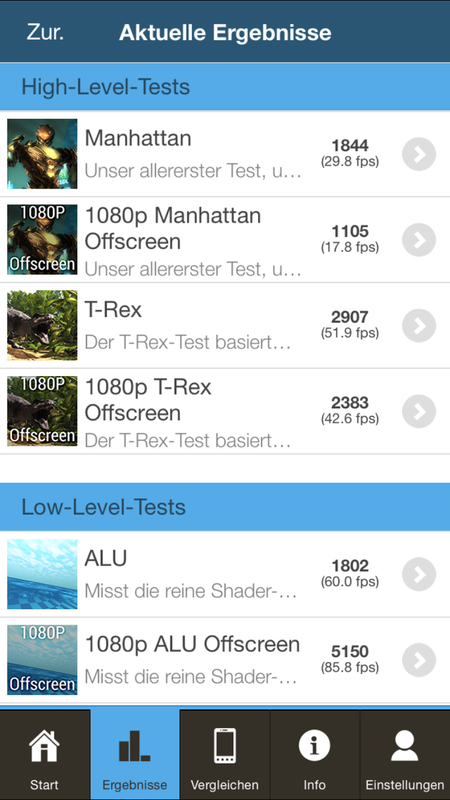 The popular AnTuTu benchmark does not work perfectly under iOS as well; it was completely closed during the test. Other apps like Dropbox or Outbank 2 do not work as intended, either, or just crash after the launch. 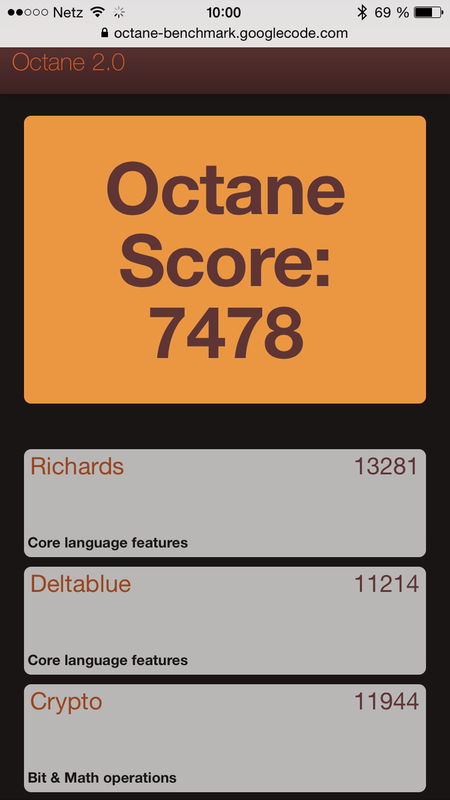 It seems that some apps still have to be optimized. Apple introduced its own payment service, Apple Pay, with the new iPhone models for the first time. It enables users of every iPhone 6 or iPhone 6 Plus to pay without cash via NFC. The necessary data are provided by the Apple ID or the iTunes account, respectively. It is basically not necessary to set the service up if your account has information about your credit card or other means of payment. This means there are around 800 million potential users, even though the number is currently limited to users of the new iPhone. This is an important advantage over the competitor Google, which has not been able to establish its payment service Wallet so far. Apple works closely with credit card companies. The integrated NFC chip of the iPhone has its own secure element, which stores the most important data and encrypts them. Some rivals store this data on SIM cards that are distributed by providers. This is not necessary in the case of the iPhone. Other manufacturers have the technical prerequisites with a secure NFC chip as well, but they usually cannot provide the corresponding software and the cooperation with the credit companies. Microsoft is supposed to work on a similar solution as well. We could not test Apple Pay since the service will be activated with an update in October, and it starts in the United States first. The financial market is more complex in Europe and Apple is already negotiating with credit companies. Apple promises that the service will be available soon. With the possibility to use Apple Pay for uncomplicated online and offline payments, it could be the breakthrough for mobile payments. The big question is still the acceptance of the users. 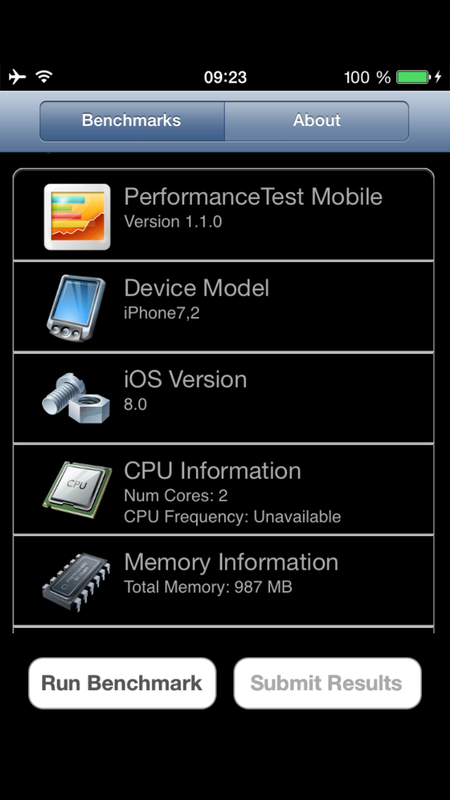 The Apple iPhone 6 uses the WLAN module Murata 339S0228 with support for the IEEE-802.11 standards a/b/g/n and ac. This means you can finally use the current WLAN standard with an Apple smartphone. The dual-band component has a good range, the ping time was below 10 ms in direct proximity to the router (Fritz!Box 6360, 2.4 GHz network) and the signal quality was very good. 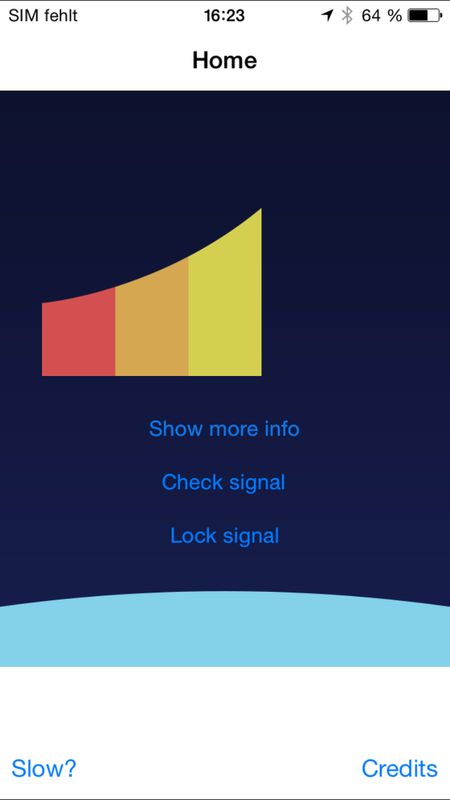 Even at a distance of around 20 meters (~6 ft) and with two walls in between, the indicator of the iPhone only loses one bar and the average ping times are increased to 14 ms. You can notice a slight delay when you want to open a website in Safari, but it is still very fast. There was also no problem to stream an HD video via Netflix. 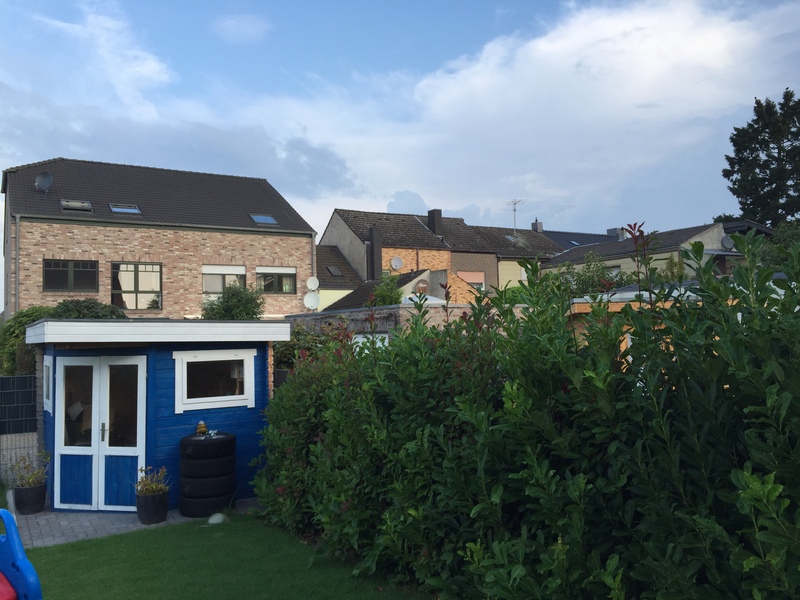 However, we noticed that the WLAN module occasionally lost the connection and the device had to be rebooted before the WLAN worked again. The mobile connection to the Internet is accelerated too. As well as HSPA+, which supports download rates of up to 42 Mbps, you also get LTE Cat. 4. The fast connection supports up to 150 Mbps for downloads and up to 50 Mbps for uploads. A big advantage is the wide coverage of frequencies, so you should have a signal in most parts of the world. This means the manufacturer has equipped its smartphone with the current standard, but performance enthusiasts will probably be a bit disappointed since there is no LTE Cat. 6, which should be available in Europe later this year. The Deutsche Telekom, for example, wants to offer LTE with up to 300 Mbps in the third quarter of 2014. The upcoming high-end smartphones with a Qualcomm Snapdragon 805 or HiSilicon Kirin 925 SoC are going to support the upcoming standard. The streaming via Bluetooth was no problem. Bluetooth 4.0 LE is also available, but it is once again not the latest version of the technology. We expect the first devices with Bluetooth 4.1 next month. This is not a huge drawback, but the latest standard offers many improvements, the susceptibility to the nearby 2.6 GHz LTE frequency in particular is supposed to be reduced significantly. Furthermore, multiple devices can now share files amongst one another, which should improve the flexibility, especially in combination with gadgets like smart watches or heart rate monitors. 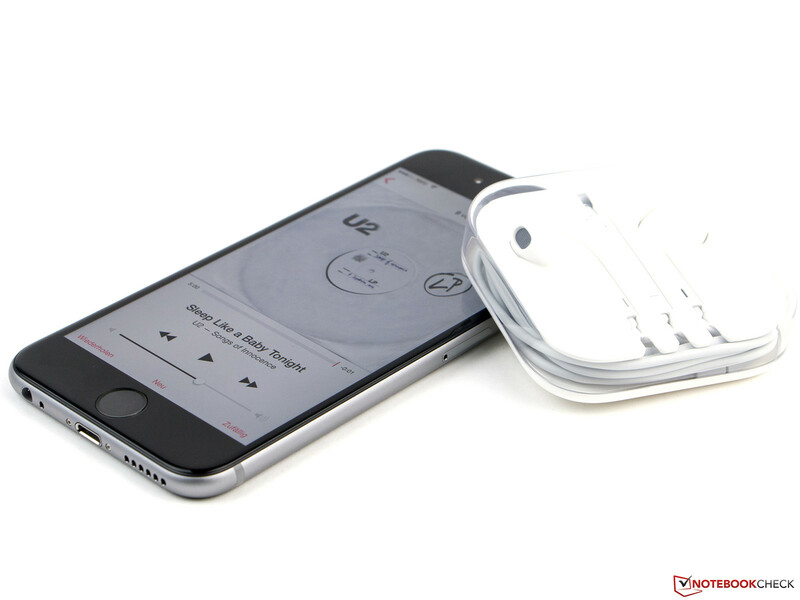 However, the Bluetooth of the iPhone 6 works without issues, the sound during streaming of HD videos from the Internet is transferred to an external speaker without distortions. There are some reports in forums that there are problems with hands-free solutions in cars from VW and BMW. 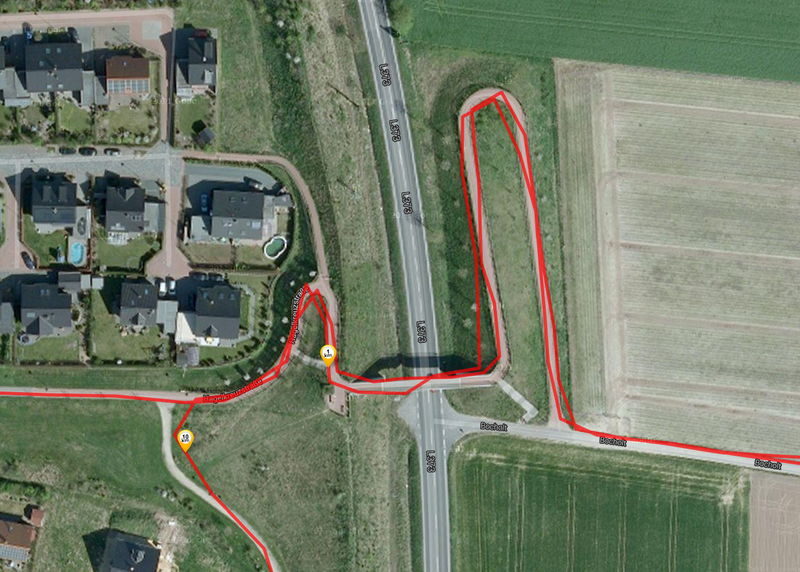 We replicated the scenario with a current Skoda Superb and can confirm the issues. 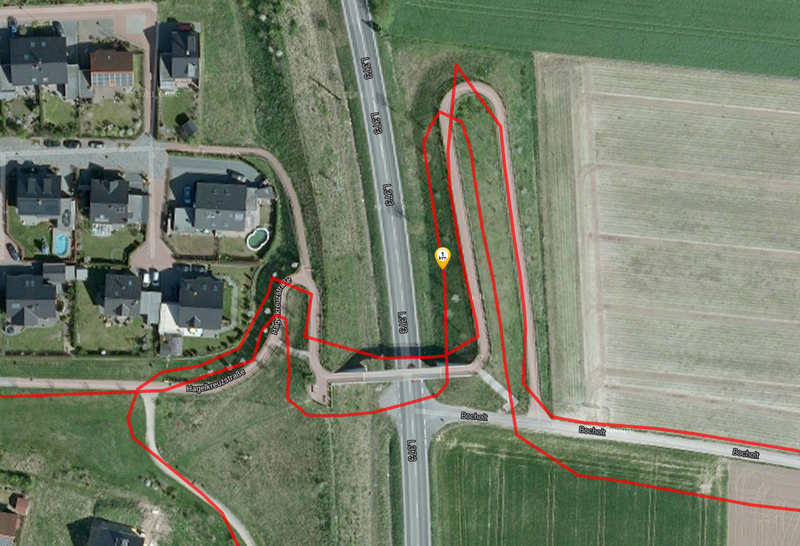 There was no problem to transfer an ongoing call to the car, but we could not control the smartphone via car afterwards. Making a call while the device is already connected does not work, either. Apple will have to fix this problem as well. NFC is now integrated into the iPhone 6, but it is currently limited for the upcoming Apple Pay service. The easy connection with devices, data transfers or the use of smart tags is unfortunately not possible so far. Both GPS as well as Glonass are supported to locate your current position, and the iPhone 6 is also equipped with a barometer. Thanks to the determination of the air pressure, it is supposed to show the current height, similar to an airplane. 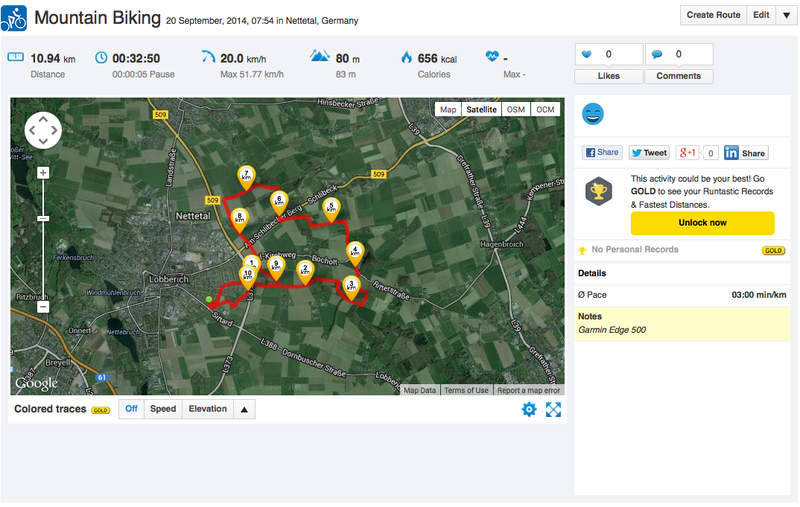 The solution is still not perfect, but the feature is much more precise than our comparison device, the Garmin Edge 500 bicycle computer. 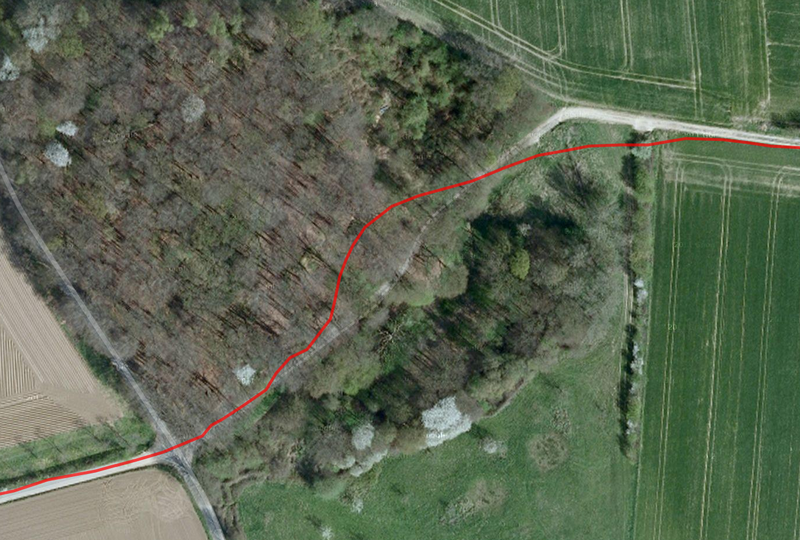 While the track of our bicycle ride was between 51 and 73 meters (~167 - 240 ft) above sea level, our review unit determined a height between 73 and 78 meters (~240 - 256 ft). 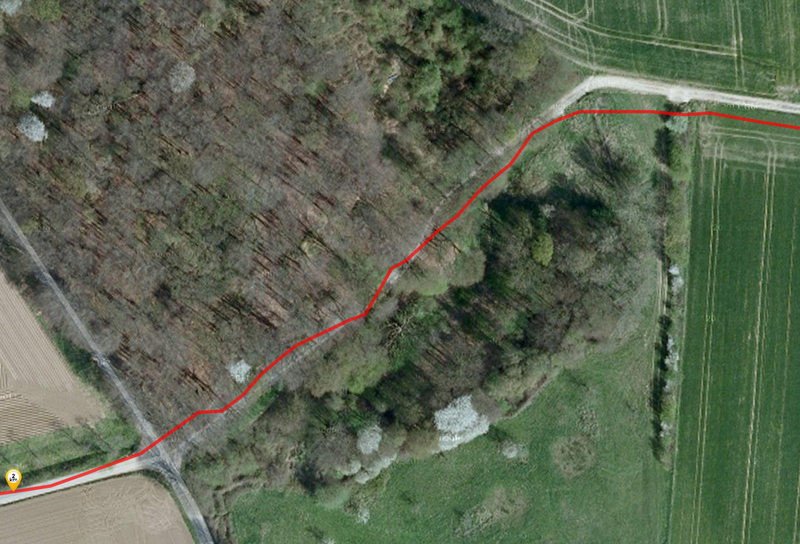 The result is not entirely accurate, but still better than the Edge 500 (80 - 83 meters; ~262 – 272 ft). 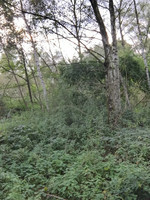 The determination of the track length was pretty good as well; the only problem was the forest section. The iPhone 5c is better in this scenario. 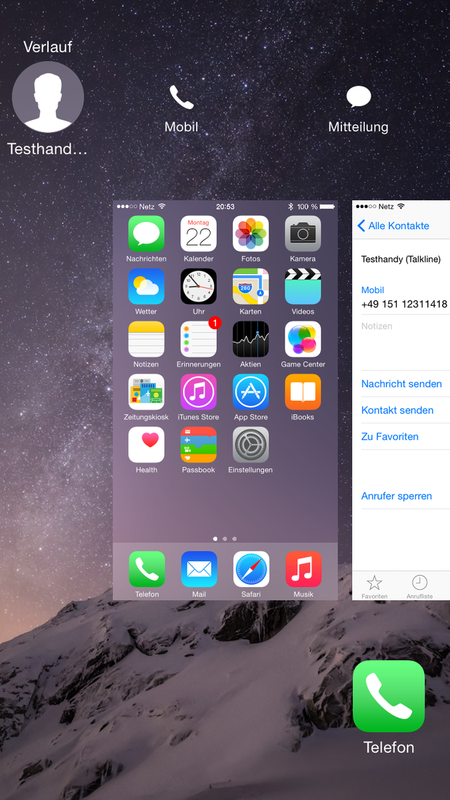 The phone app of the iPhone 6 is clear as usual and allows quick access to the list of calls and contacts. Hold the phone against your ear and both sides of the call can enjoy very good voice quality. However, the device could be improved in terms of background noise reduction. The music in the background was just partially filtered and was occasionally audible. Making a call via speaker is comparatively good, but the voice of the iPhone user sounds slightly muffled. The provided headphones leave a mixed impression. While they work well as a microphone, they put a lot of emphasis on the bass, which sounds strange when you make a call. High tones are also very distorted, so they are pretty shrill. Nothing has changed in the camera hardware when you look at the spec sheet. The webcam still has a 1.2 MP sensor (1,280x960 pixels, 4:3) and the main camera at the back can take pictures with 8 MP (3,264x2,448 pixels, 4:3). 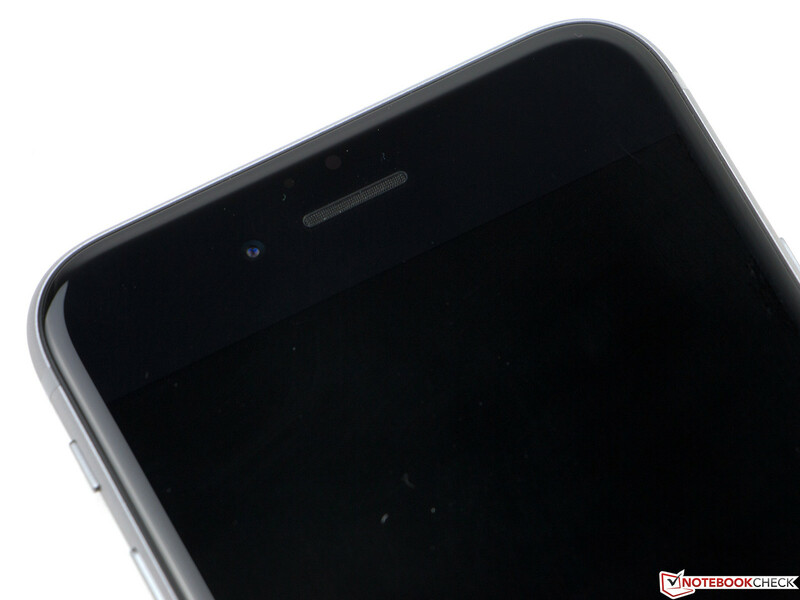 The pixel size of the main camera is 1.5 micrometers, which should result in sharper pictures. The front camera is perfectly adequate for video calls, but the resolution is a bit meager for selfies. However, the pictures are very bright, so you can still recognize the content in dark environments, even though there is some picture noise. The sensor at the back was just slightly improved, but the results have a higher contrast compared to the predecessor iPhone 5s. The autofocus with Focus Pixels enables a faster focus of objects and you can actually notice the higher speed in practice. 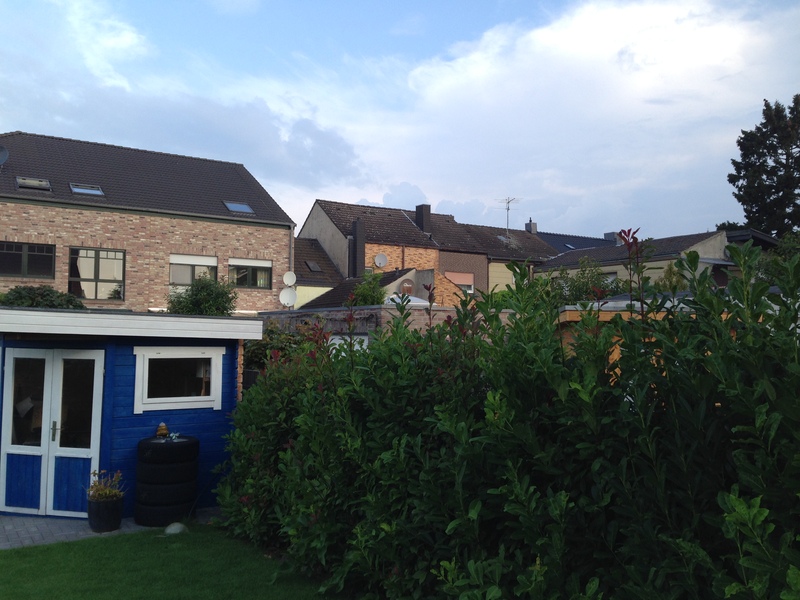 You can see that the pictures of the iPhone 6 are more balanced and more natural in comparison to the 5s. 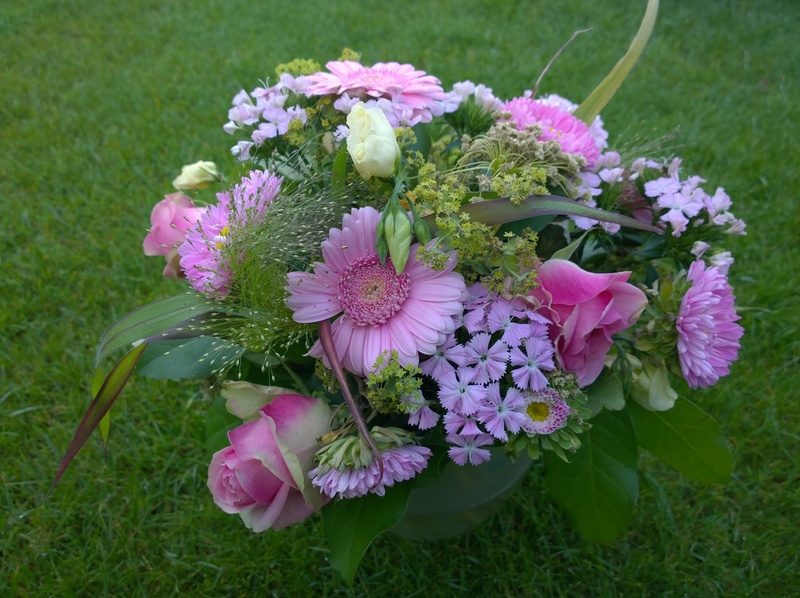 The automatic HDR mode delivers good results, which is clearly visible in the flower picture. However, hard contours appear slightly frayed when you have a closer look and details are a bit blurry in darker environments. The image sensor is quickly overcharged in this situation without the flash. 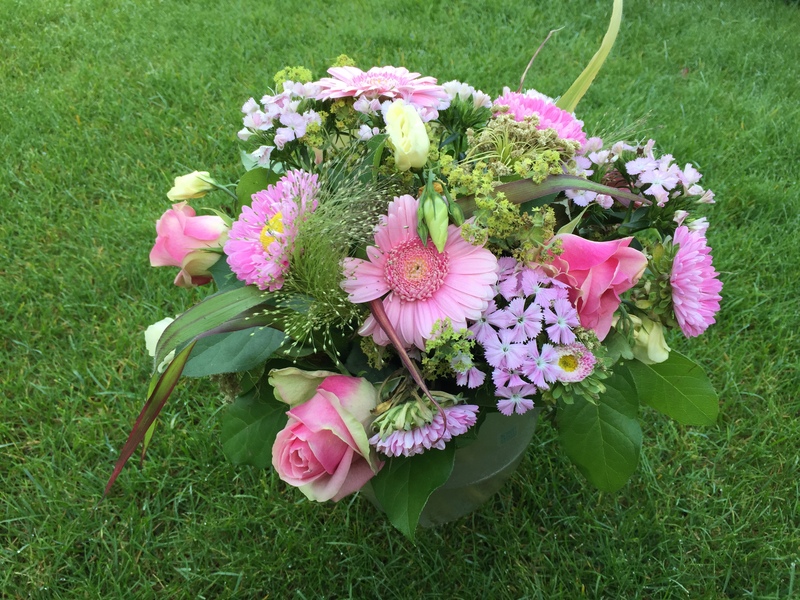 Colors on the other hand, leave a good impression. The True Tone flash of the smartphone works well, but it overexposes the picture, so there is a white veil and the colors appear pale. Back light is well compensated in the HDR mode. The camera takes very good close-ups. You should avoid to use the digital zoom. Details look blurry, contoures frayed. The flash is no improvement and adds too much exposure. The electric image sensor comes to its limited. The iPhone 6 has some filter options. The Panorama feature of the iPhone is easy to use, but it requires a very steady hand, especially if there are straight edges in the picture. Otherwise, they would not merge correctly, which can result in a visible offset. Apple wants to revolutionize movie making with the iPhone 6. You get a continuous autofocus system, a new slow-motion feature and a higher picture count for slow-motion videos with up to 240 frames per second (fps). Standard videos are recorded with 1,920x1,080 pixels (Full HD) and 60 fps. This should enable smoother recordings, but also allows the slow-motion feature in Full HD. The videos are nice to look at and have a good quality, but they are not comparable to a good DLRS because of the low bit rate (around 18 Mbps). The quality quickly deteriorates with slightly worse lighting conditions. The sound is recorded in stereo and sounds a bit tinny. Nokia’s Lumia 930 and 1520 with four HD microphones for real surround sound have a clear advantage in this case. 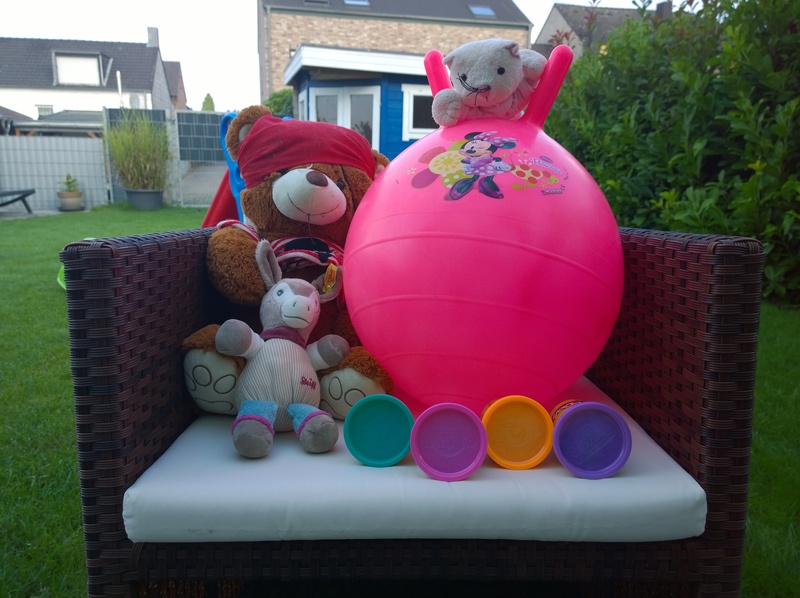 Nice features are the time-lapse function, which is a part of iOS 8, as well as the improved slow-motion mode. 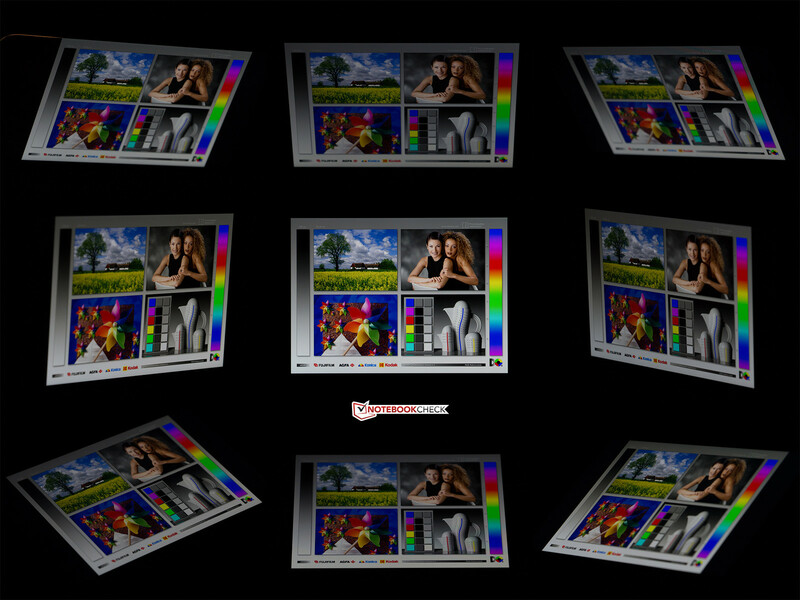 Time-lapse takes pictures at dynamically specified intervals that are then merged into a Full HD video. There is no limit to the recording time in this mode; the only limits are the available storage and the stamina of the battery. The file size for a 36 seconds result is quite small with 64 MB (1080p, 30 fps, 30 Mbps), but the power consumption of the iPhone 6 is not low. The recording consumed around 40 percent of our battery charge. The slow-motion video is not very large, either, the final result with a runtime of two minutes is just 84 MB small (720p, 30 fps, 6 Mbps). We edited the original video with 240 fps in iMovie and saved it as a new file. It is unfortunate that the videos are only possible in the small HD resolution. The low data rates of the video are noticeable when you edit them on a computer. However, they look great on the iPhone and leave a good impression on the TV, even though you can see the reduced quality of the slow-motion. Our sample video reveals a small issue. The iSight camera has problems with the artificial light in combination with the white background, which results in a flickering. This is certainly not a revolution, but it is easy to record interesting videos with the iPhone 6. 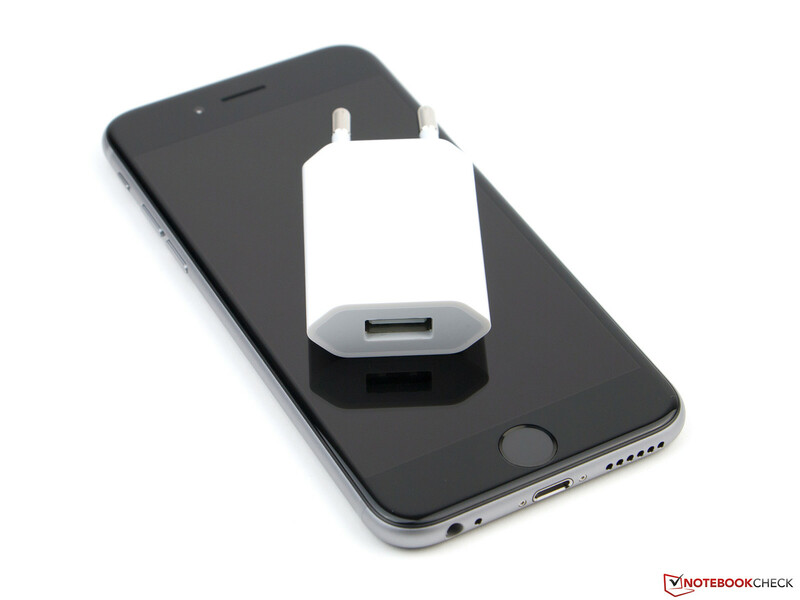 The accessories included with the Apple iPhone 6, are a modular power adaptor with a rated output of 5 Watts (5 V, 1 A), a Lightning cable as well as a headset. There are many optional accessories in the web store of the Californian company, starting with cases or better headphones up to professional audio interfaces. 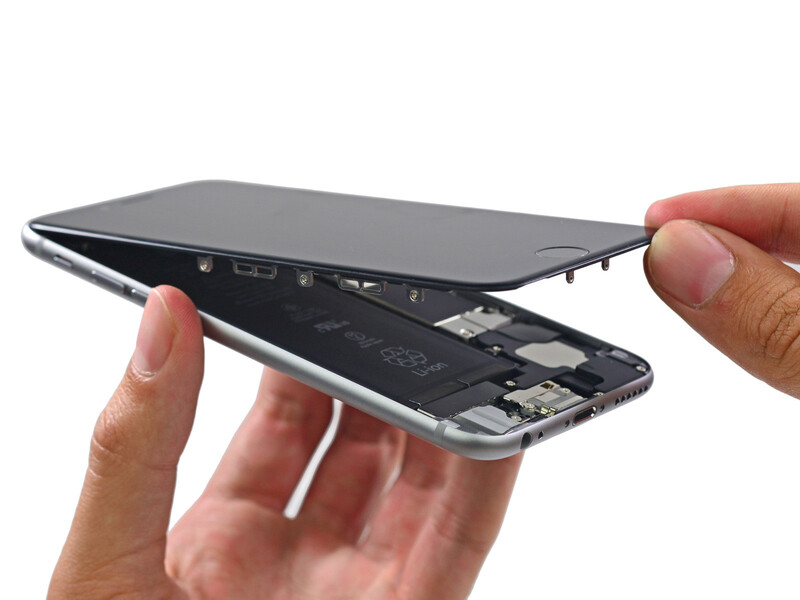 Apple offers a warranty of 12 months for the iPhone 6, which includes phone support for the first 90 days. The warranty extension Apple Care+ (99 Euros; ~$125) expands the warranty period to 24 months and has to be bought within 60 days of the purchase of the smartphone. 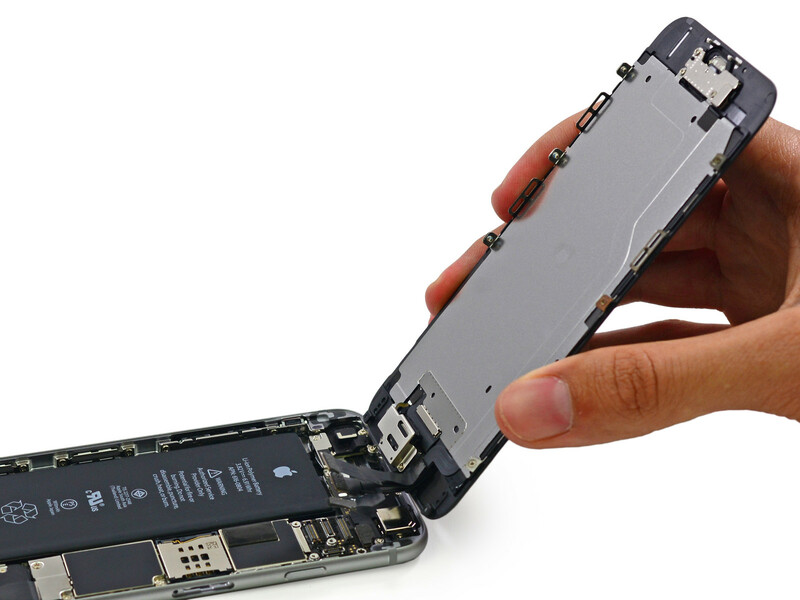 It also covers up to two accidental damages for an additional service fee of 69 Euros (~$87) for each repair. 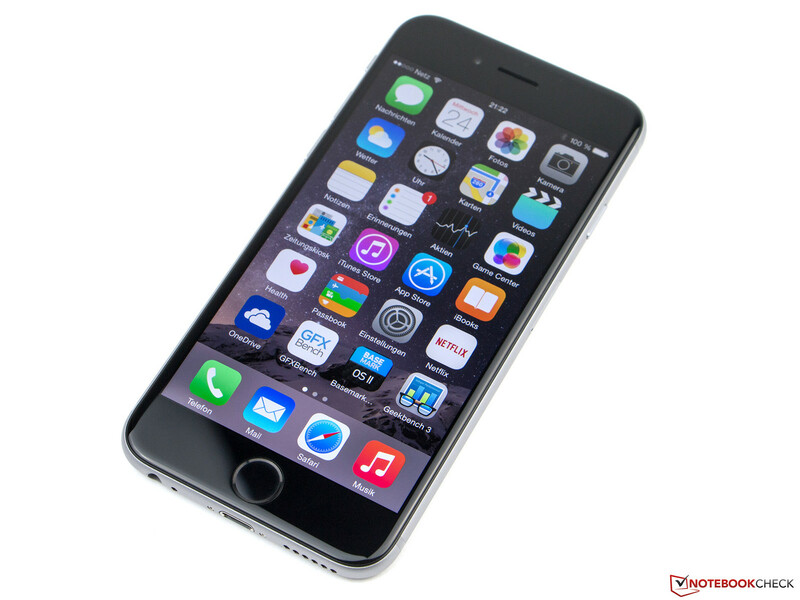 The capacitive touchscreen of the Apple iPhone 6 has good gliding capabilities and reacts very accurately. However, we sometimes had the impression that the precision could be better during inputs on the small virtual keyboard. The glass surface quickly attracts fingerprints, but it is comparatively easy to clean. 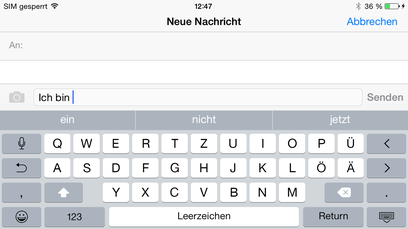 Apple slightly improved the keyboard. Nothing is changed in terms of layout, but the virtual input now has an additional row with word predictions based on your inputs. Apple calls this feature QuickType. Other manufacturers have had this for a while now, but it is still a nice feature. The physical buttons on the iPhone 6 have a short travel and a firm pressure point with a very convenient haptic feedback. The Touch ID button is now a bit less conspicuous. The recognition of fingerprints works very well, and it can be used not only to unlock the smartphone, but also for purchase confirmations of apps, music and movies, as well as working with Apple Pay. However, it is a bit annoying that you have to enter all passwords once after a restart before you can use your fingerprint. The display size of the iPhone was increased to 4.7 inches. Compared to the predecessor (4.0 inches, 326 ppi), the Retina HD display of the Apple iPhone 6 is now bigger at 4.7 inches. The manufacturer increased the resolution to 1,334x750 pixels to maintain the high pixel density, so the number is actually identical to the iPhone 5s. Apple advertises a luminance of 500 cd/m² and we can confirm that value, the panel is actually slightly brighter in most areas. All the rivals have at least 5.0-inch panels and the resolutions are higher as well. 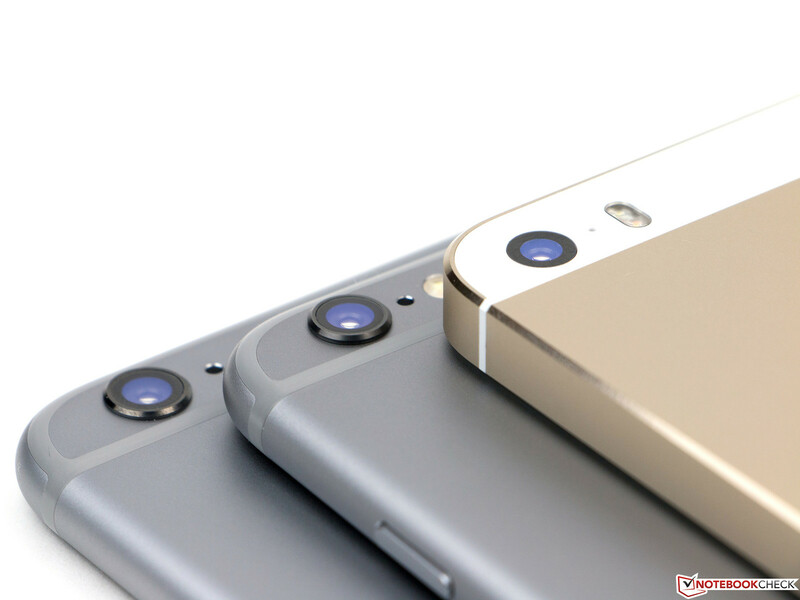 However, the luminance of the iPhone 6 is unrivaled within the comparison with up to 529 cd/m². The brightness distribution is decent with 88%, but it could be better. Devices with OLED displays are much darker, for example, the Galaxy S5 (up to 401 cd/m², 432 ppi, 82%) and the Lumia 930 (up to 297 cd/m², 441 ppi, 89%). Devices with a better brightness distribution are the HTC One M8 (up to 508 cd/m², 441 ppi, 93%) as well as the Ascend P7 (up to 489 cd/m², 441 ppi, 92%). Black on the iPhone 6 is not always as deep as on OLED panels, but still better compared to the iPhone 5s. We measured 0.6 cd/m², which is not a great result, but still better than the majority of rivals in this class. Only the Lumia 930 and the Galaxy S5 can easily beat this value and manage 0.0 cd/m². However, this is a result of the used pixel technology. 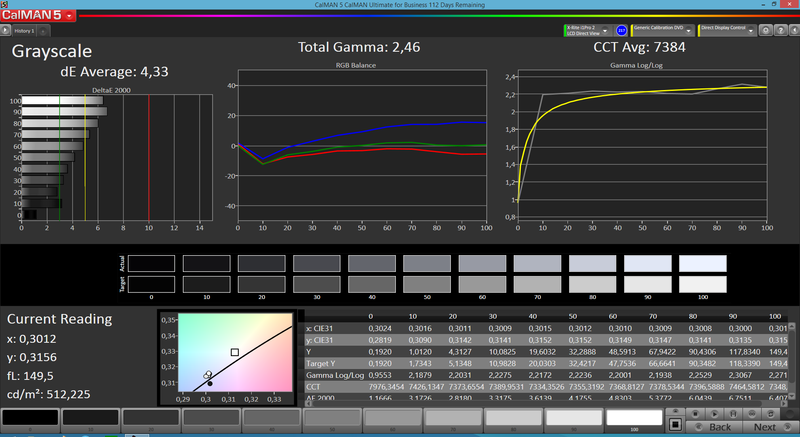 Amongst the rivals with LCD panels, only the One M8 (0.54 cd/m², 878:1) has a better black value. Some devices have a much higher result, like the LG G3 (0.96 cd/m², 434:1) or the Ascend P7 (0.92 cd/m², 504:1). 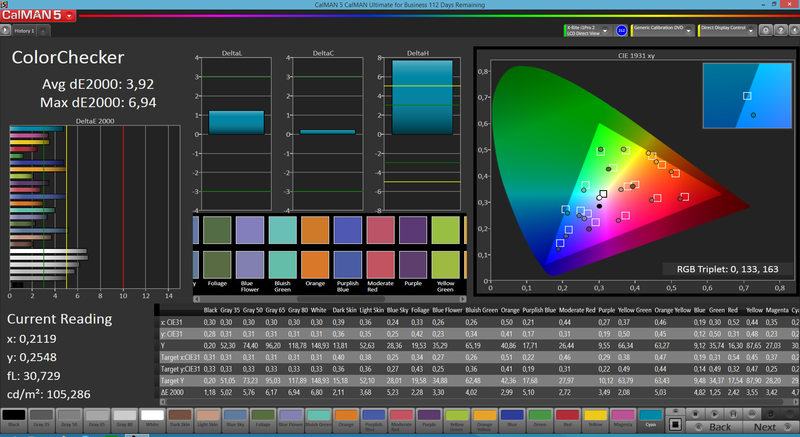 Our review sample is not even close to the advertised contrast ratio of 1,400:1, but a measured contrast of 852:1 is a good result nonetheless. 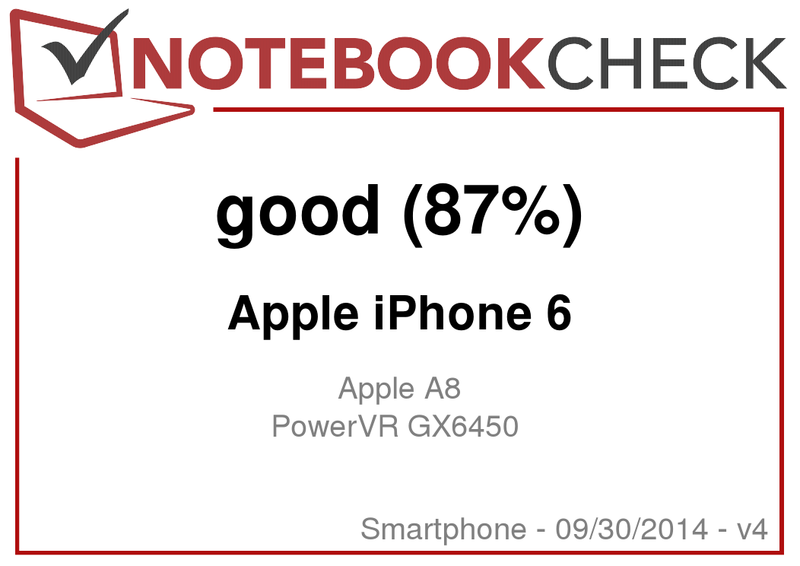 We can also see a good performance with regard to the color accuracy of the iPhone 6. The deviations of colors are only visible with cyan and pure white, where we can see a slight blue cast. However, it is not visible in practice. The impression is supported when we look at the grayscale. 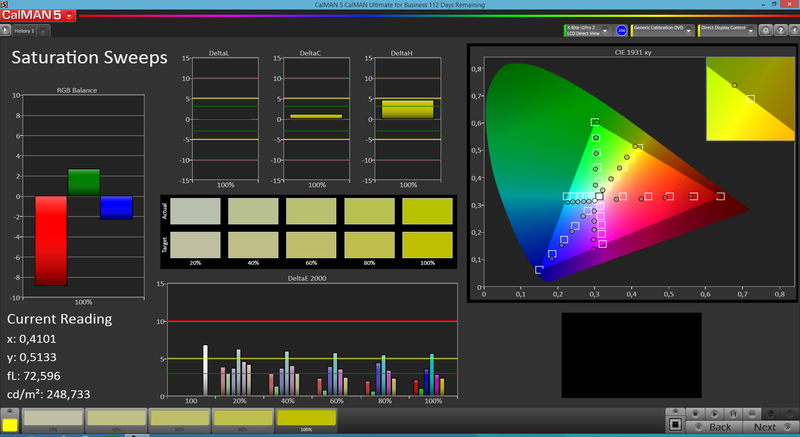 It also covers almost the whole sRGB color space. Within our comparison, only the Galaxy S5 can surpass this result, Samsung’s smartphone even covers the wider Adobe RGB color space. 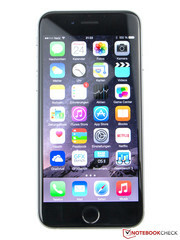 All in all, users of the iPhone 6 get a very good LCD panel. The iPhone 6 leaves a good impression outdoors. Thanks to the high brightness and the good contrast ratio, the display content is easy to read, even in brighter environments. The reflections on the glass surface are limited as well, which is another advantage outdoors. The outdoor visibility of the iPhone 6 is good. The new Apple A8 chip is once again a dual-core processor. Every core can run with up to 1.35 GHz, at least this is indicated by several benchmarks. However, Apple did not confirm this information. You still get a separate M8 Motion Coprocessor to process sensor data. 1 GB memory is not really generous in comparison with the Android rivals, but it seems to be adequate. The GPU is an Imagination PowerVR GX6450, which consists of four clusters according to our colleagues from AnandTech. Apple promises noticeable performance improvements compared to the already pretty fast predecessor. The amount of memory always results in discussions. 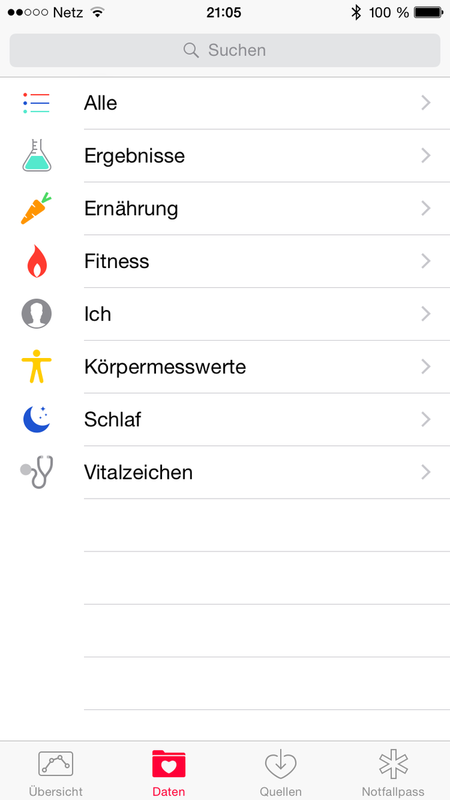 The 1 GB limit is often reached under the iOS 8 software. Demanding browser tests like Browsermark 2.1 crashed quite often during our review before they finally delivered a result. AnTuTu v5 in the latest version crashed during the memory test as well. 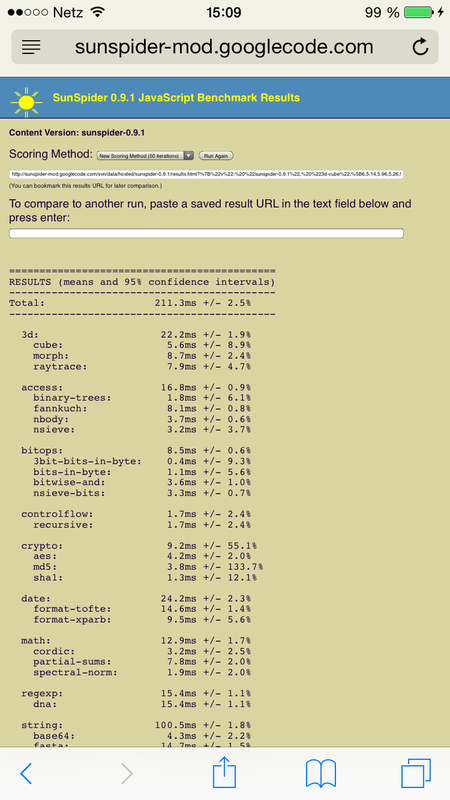 We also noticed small stutters after we used memory-intensive apps. Future updates will show whether this is a problem of the early version of iOS8 or the amount of memory. 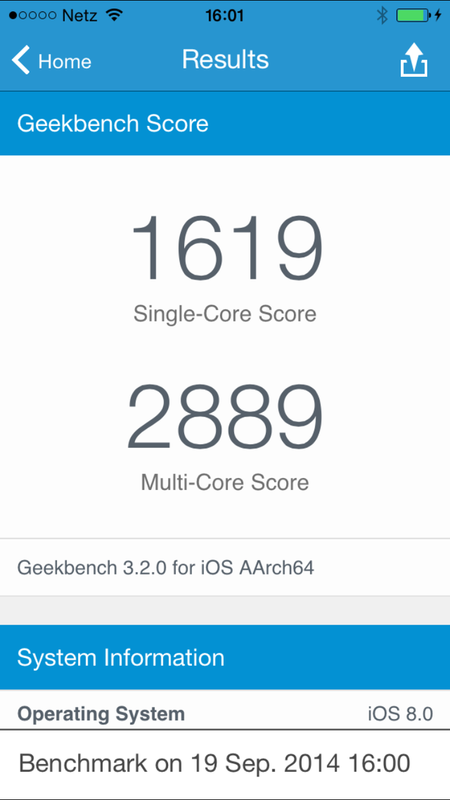 A look at the benchmarks shows that Apple has not promised too much in terms of performance improvements. 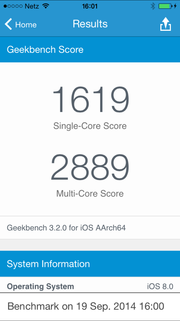 It is 16% faster than the iPhone 5s in the Geekbench 3 Single-Core test, and even up to 61% faster when both cores are utilized. The per MHz performance that Apple produces is really excellent. None of the other high-end devices can currently keep up, only the NVIDIA Shield Tablet, which uses the K1 SoC, is faster in multi-core benchmarks. 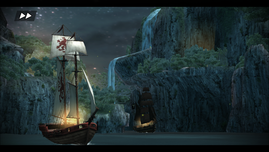 The situation is similar with regard to the graphics performance. 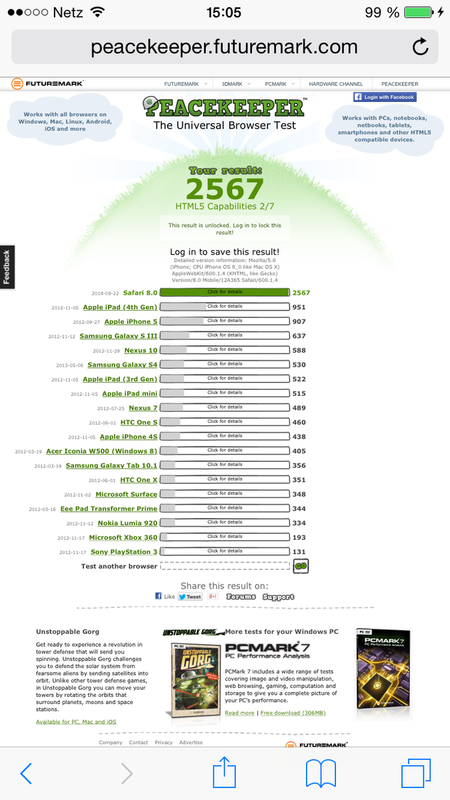 NVIDIA’s Shield is much faster, but all the other rivals are once again clearly beaten. 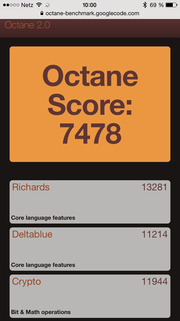 The iPhone 6 is around 70% faster than its predecessor in the Offscreen test of GFXBench 2.7, and even very fast devices like the One M8 or the Galaxy S5, only manage two thirds of the frame rate. Apple did a good job and sets the bar quite high for the competition. We are looking forward to the comparison with devices that use the Snapdragon 805 or the Kirin 925. 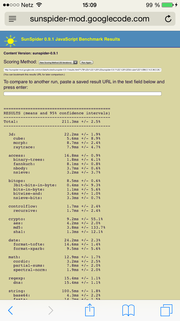 The browser performance of the Apple iPhone 6 is unrivaled. 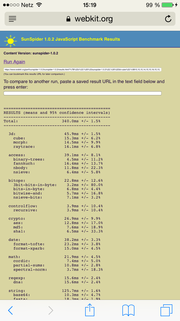 Even very complex websites are subjectively loaded very quickly. 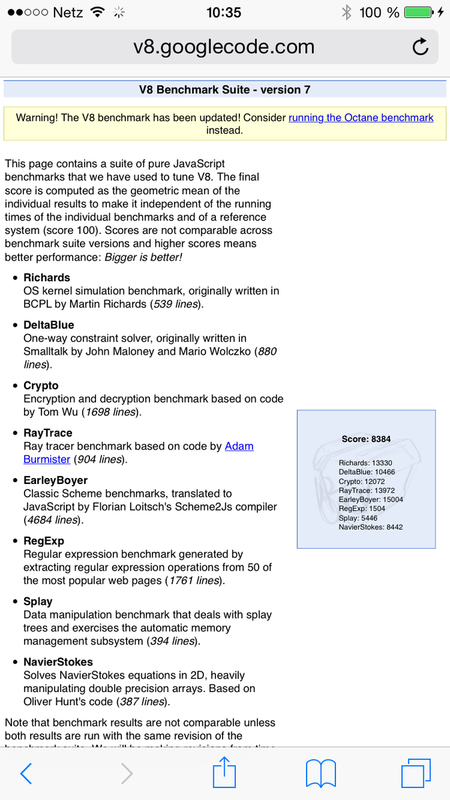 Our benchmarks confirm this impression as well, nobody can keep up with Apple with regard to web browsing. The results are only beaten by some notebooks. 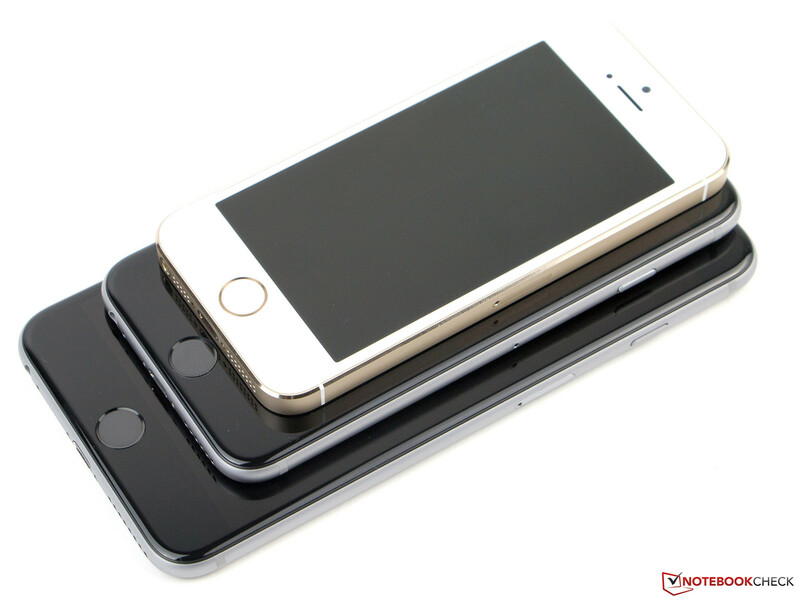 There are three storage configurations of the Apple iPhone 6 with 16, 64 and 128 GB. The storage cannot be expanded and only be complemented by cloud storage. All users get 5 GB iCloud storage for free. Our review unit is the 128 GB version. This value is shown in the decimal system, so you really get 119 GB with 114 GB for the user. The other 5 GB are required by the operating system and the preloaded apps. This means you should be able to use 10 and 55 GB for the 16 and 64 GB versions, respectively. We recommend you choose at least the 64 GB configuration if you like to take a lot of videos and pictures or watch media files on the iPhone since 10 GB are quickly filled up. 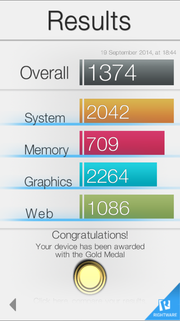 The performance of the storage module is very good and easily outperforms the whole Android competition. Only the Lumia 930 bares its teeth in Basemark OS II and manages a result that is more than twice as fast as the iPhone 6. Currently there are not many games with Metal. The enormous performance of the Imagination PowerVR GX6450 is more than sufficient for all games in the Apple App Store. 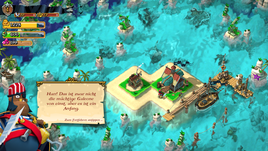 OpenGL ES 3.1 is not supported, but Apple developed its own graphics interface called Metal, which is supposed to improve the performance and quality of effects. 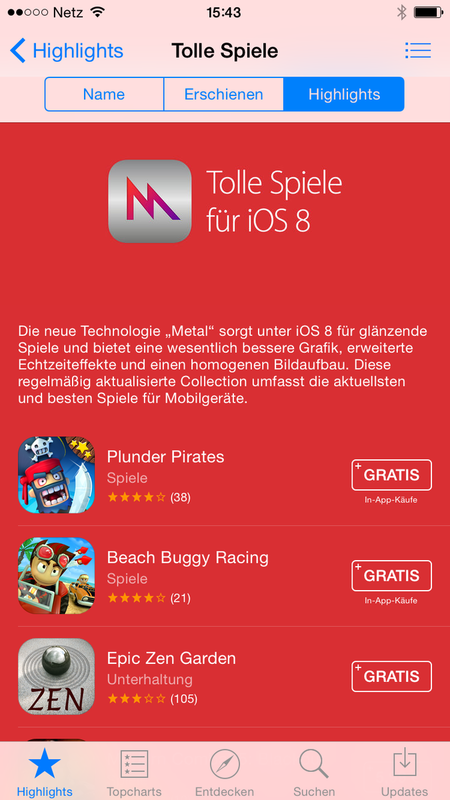 The App Store has its own section with titles that already use the new interface. However, the reference title Vain Glory is not yet available and should be released in October, but it already looks very promising. 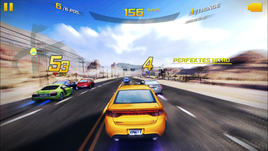 Existing titles like Asphalt 8 got some additional effects as well and leave a really good impression. The gaming experience benefits from the touchscreen and the well-working sensors. 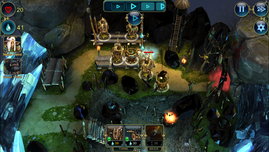 But the experience on the iPhone 6 also benefits from the larger screen, you will be thankful for the additional screen size in tower defense games in particular. The performance can be maintained in the battery test of GFXBench 3.0. We can already measure comparatively high surface temperatures of up to 37 °C (~99 °F) for the Apple iPhone 6 while idling, which is lukewarm. Only the LG G3 (up to 39 °C; ~102 °F) gets warmer in this scenario. We used the Relative benchmark for more than one hour to determine the temperatures under continuous load. The whole device got pretty warm and reached a maximum temperature of up to 43.6 °C (~110.48 °F). However, this is not an alarming result. 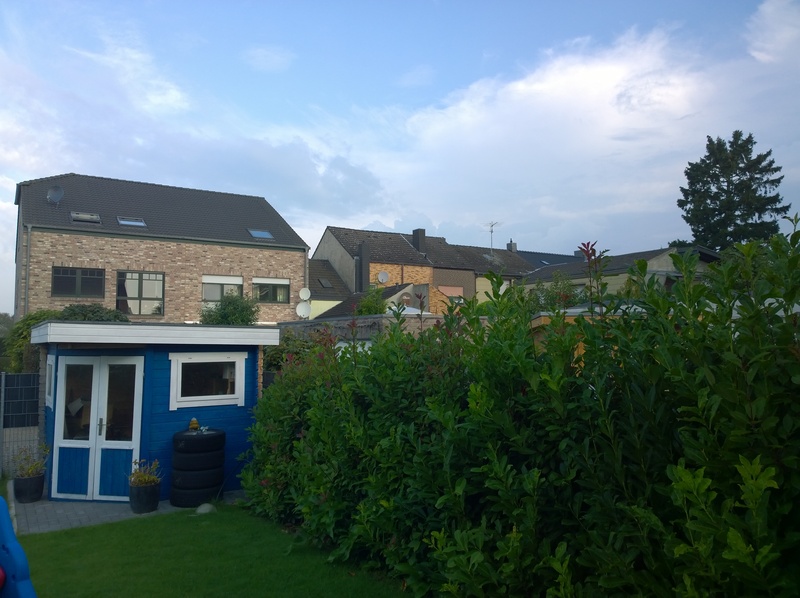 Amongst the competition, only the Lumia 930 (up to 48.8 °C; ~119.84 °F) got warmer. 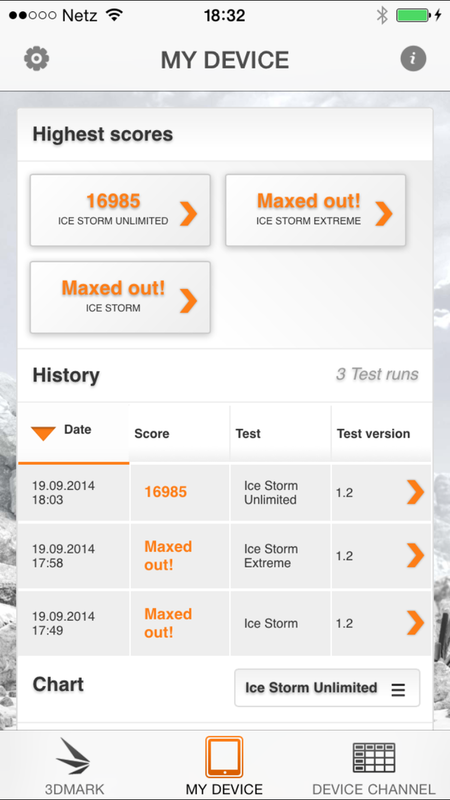 The coolest rivals are the Huawei Ascend P7 (up to 37.9 °C; ~100.22 °F), but it also has a slower SoC, as well as the Samsung Galaxy S5 (up to 37.7 °C; ~99.86 °F). Apple also promises a more constant performance under continuous load. We checked this statement with the GFXBench 3.0 battery test, which also monitors the stability of the frame rate. During the process, it runs the T-REX Onscreen test thirty times to determine a score. 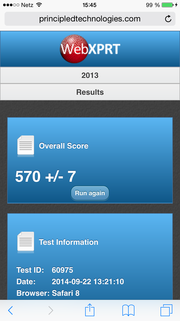 The result is convincing, the iPhone 6 can maintain its performance during the whole benchmark. (-) The average temperature for the upper side under maximal load is 39.9 °C / 104 F, compared to the average of 33.1 °C / 92 F for the devices in the class Smartphone. (±) The maximum temperature on the upper side is 43.6 °C / 110 F, compared to the average of 35.6 °C / 96 F, ranging from 22.4 to 51.7 °C for the class Smartphone. The quality of the provided EarPods is good. 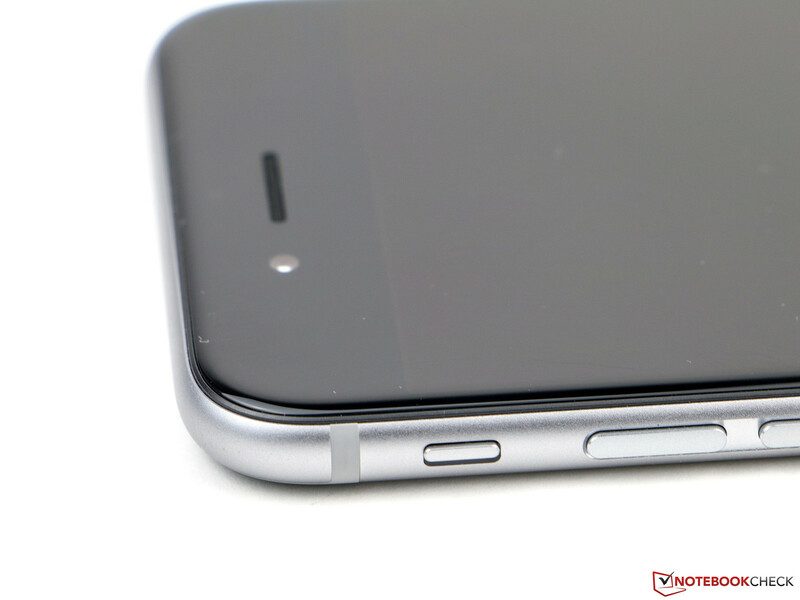 The mono speaker of the iPhone 6 is located at the bottom and can be really loud. 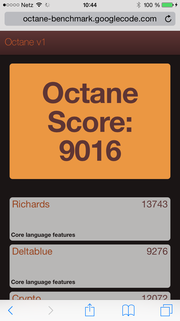 The sound is pretty balanced up to around 60% of the maximum volume. Medium tones and bass are noticeable, even though the latter is not perceptible. High tones are very clear as well. However, the quality quickly decreases with the maximum volume. The result sounds tinny and there are distortions, while the medium tones are completely gone. The sound quality of the provided headphones is quite decent, but focused on bass. The EarPods belong to the better-provided accessories on the market, but they would not be adequate for music enthusiasts. 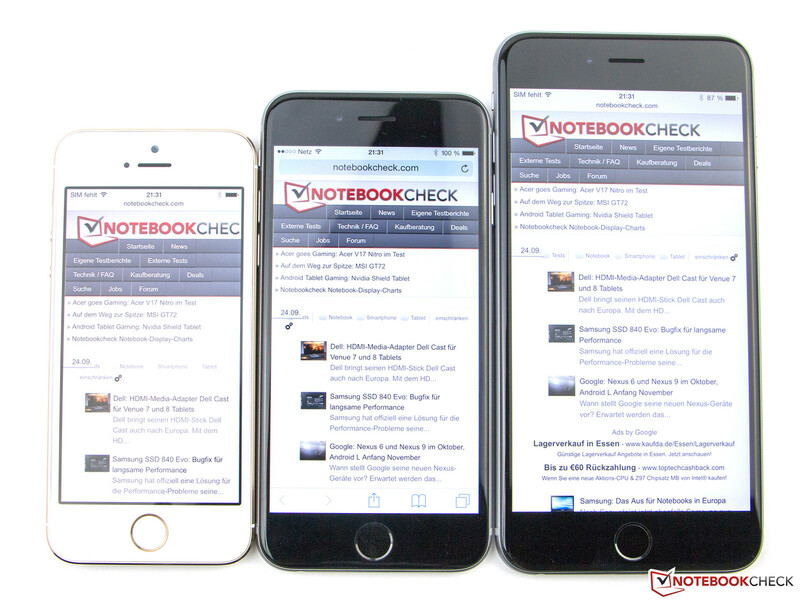 The power consumption of the iPhone 6 is much higher compared to its predecessor. It already consumes between 0.3 and 2.0 Watts in idle mode, while the 5s only uses up to 1.3 Watts. Galaxy S5 (up to 1.1 Watts) and the One M8 (up to 1.6 Watts) consume less power despite their larger displays. The situation changes under load. 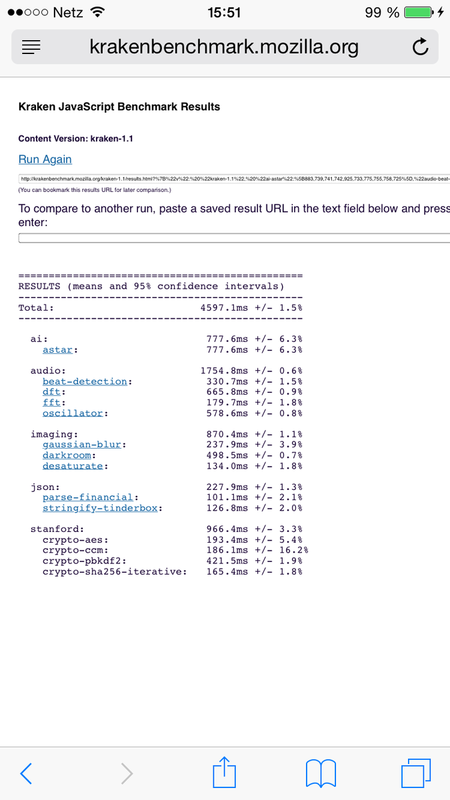 We simulate medium workloads with Epic Citadel and maximum load with the Relative benchmark. Our review unit consumes up to 5.2 Watts, which is a good result when you consider the powerful components. The S5 (up to 6.2 Watts) and the M8 (up to 5.7 Watts) use slightly more power, while the Xperia Z2 (up to 5.1 Watts) is level with the iPhone 6. The provided power adaptor (5 W, 1V, 2A) appears rather weak when you consider the high power consumption. We would recommend buying a more powerful 12-Watt PSU from Apple, which has another advantage: It reduces the charging time thanks to the higher current. A complete recharge with the standard power adaptor can take almost four hours while the iPhone 6 is recharged within two hours with the more powerful PSU. The Apple iPhone 6 has a battery with 1,810 mAh (6.91 Wh). The capacity was increased compared to the predecessor (5.96 Wh, 1,570 mAh), but the additional capacity is necessary to compensate the higher power consumption. 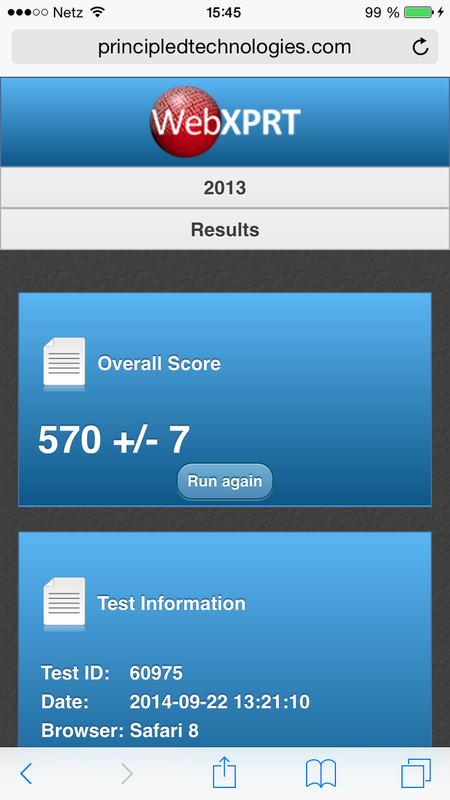 The maximum runtime is almost identical to the iPhone 5s. However, the result for the minimum runtime, which was once again simulated by the Relative benchmark, is worse for the new model. Little more than two hours is not a really good result, especially when you consider that this is a realistic result for gaming. Time-lapse recordings consume quite a lot as well (also see Camera section). You should keep the iPhone in close proximity to a socket or have a powerful additional battery if you want to record a whole night or longer. 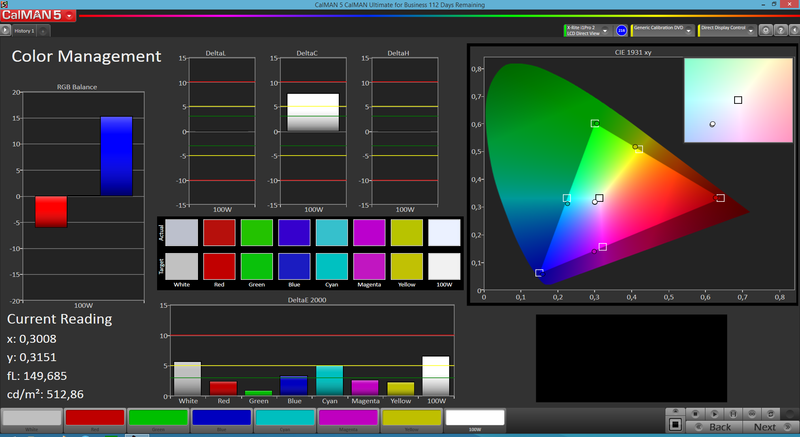 A better comparison is our test with an adjusted display brightness of 150 cd/m². 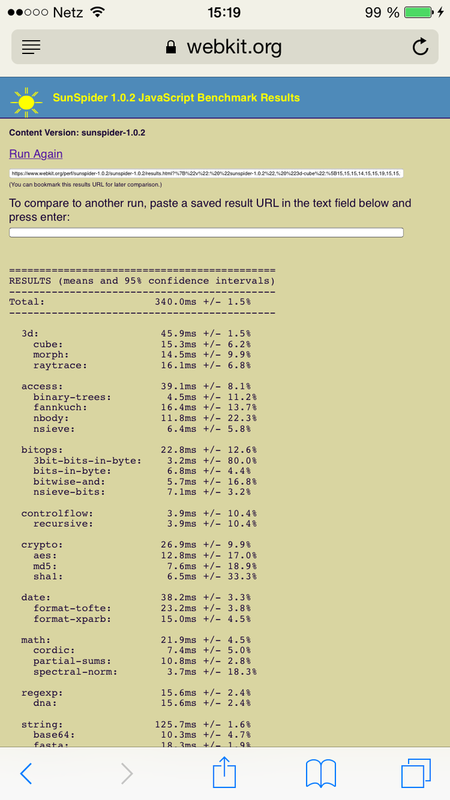 Our WLAN test is performed with an active wireless connection while a browser script opens another website every 40 seconds. 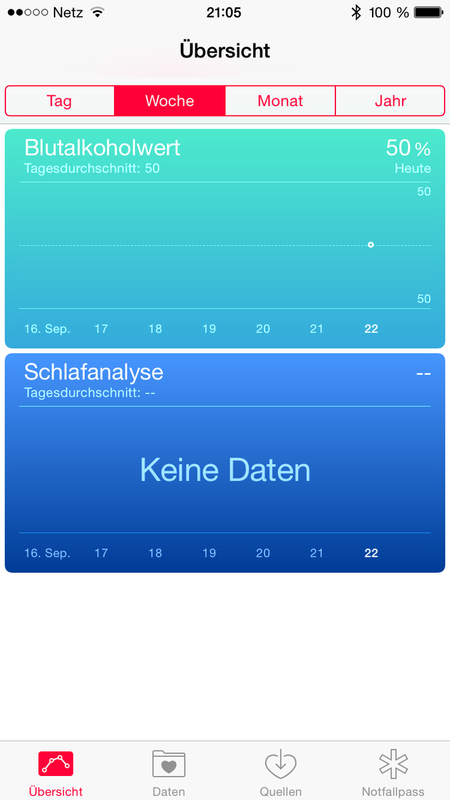 The iPhone 6 manages about 2.5 hours less than its predecessor (10 hours) and is on a level with the One M8 (07:33 h) and the LG G3 (07:32 h). 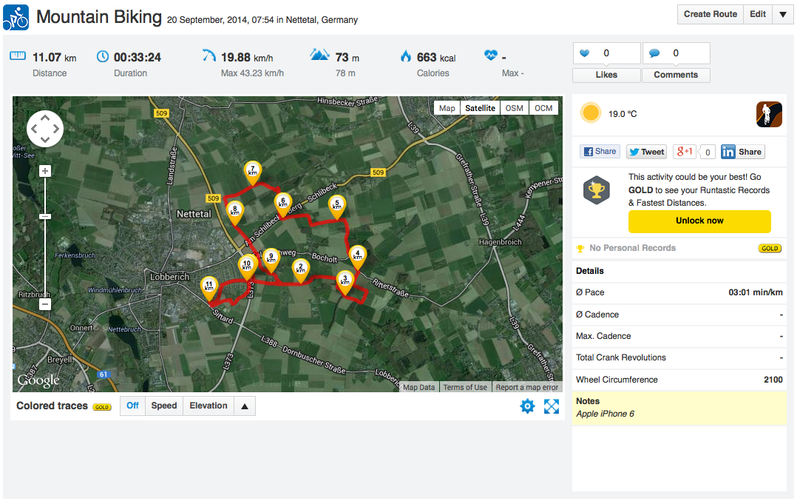 All the other rivals manage at least 10 hours and the Lumia 930 shows stamina with 16:42 hours. The iPhone 6 is on a good level with almost 10 hours video playback, even though our result is shorter than the advertised 11 hours. Innovative energy-saving modes are not available on the iPhone. 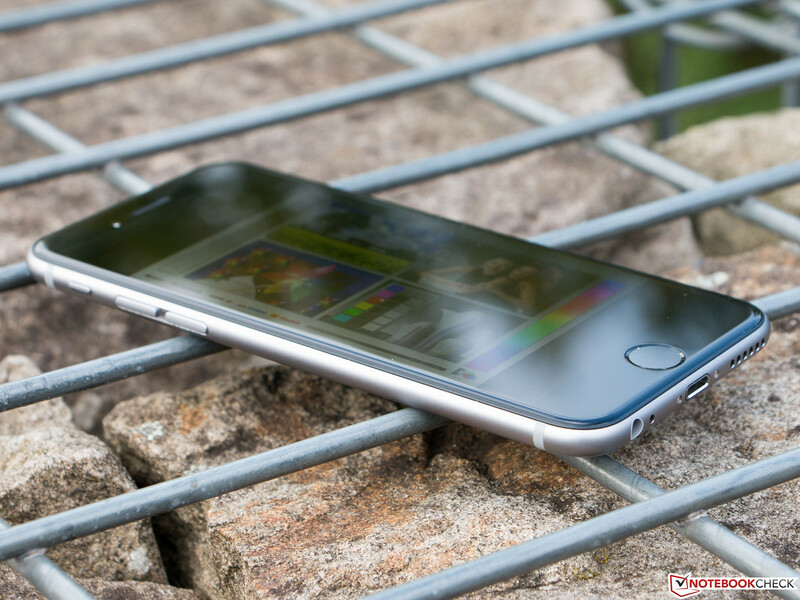 In Review: Apple iPhone 6. The iPhone 6 is a really great smartphone. The new design is very convenient and the manufacturer uses high-quality materials. The build quality is on an excellent level and the performance is first-class as well. 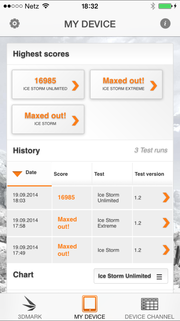 Both HSPA+ and LTE support a large number of frequencies and should work all over the world. 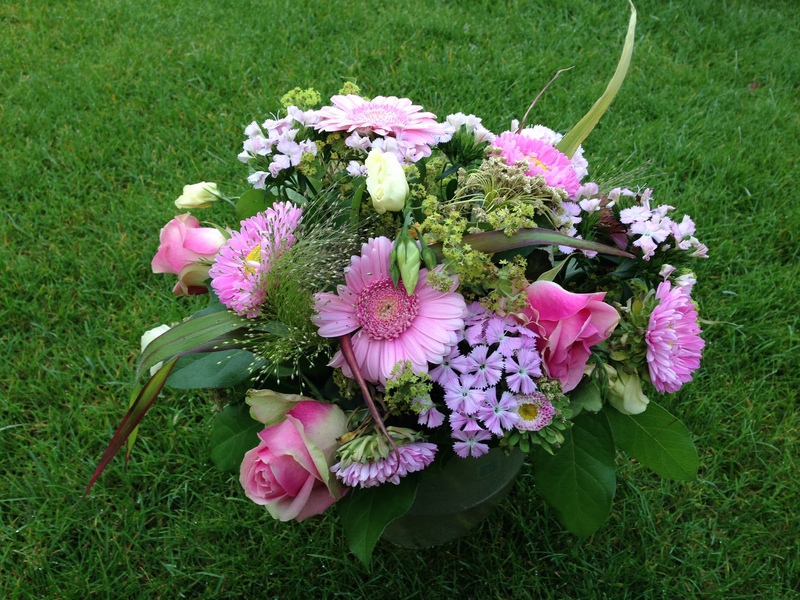 The package is completed with a very good display and great voice quality. The iPhone does not use the latest components in terms of communication. This is unfortunate, but acceptable. Still, we would have liked to see Bluetooth 4.1, LTE Cat. 6 and a more versatile NFC chip. The camera once again takes good pictures, but a few more megapixels would not hurt. Support for Ultra HD and a better microphone for videos would have been nice as well and would have supported the advertised revolution. Slow-motion videos are only recorded in the small HD resolution (720p). 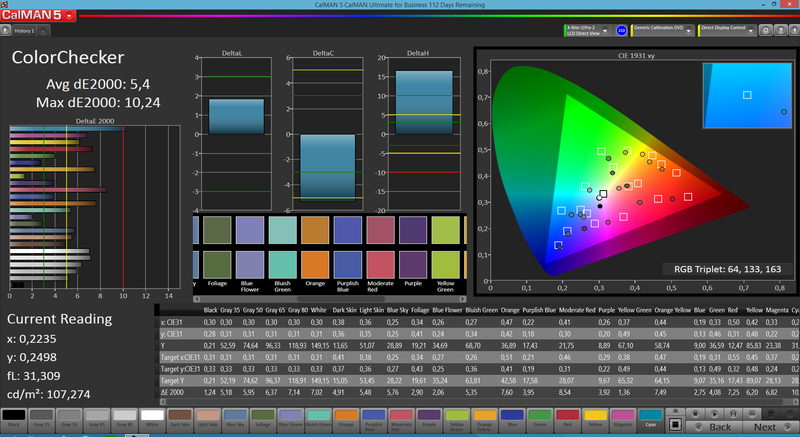 This enables great possibilities and impressive results, but you can see some quality issues on a TV. Apple should also improve the performance in low-light situations, the Lumia devices; the Xperia Z2 and the LG G3 are superior in this respect. 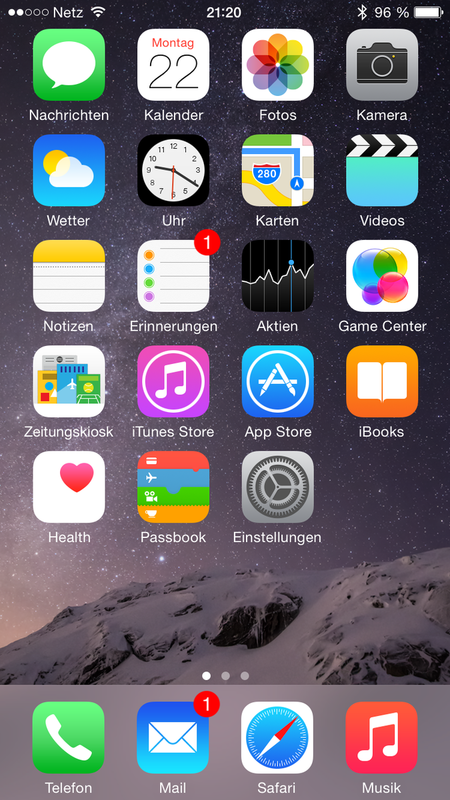 The new iOS 8 still has some rough edges and many apps still have to be adjusted. You can also notice occasional stutters. The WLAN module of our review unit had some issues as well and sometimes lost the connection, which could only be fixed with a restart. These are small issues that should not happen for a smartphone that claims to be the best of its class, so there is a small point deduction. We will correct our rating if those issues are going to be fixed in an upcoming update. Still, the iPhone 6 is a successful evolution of the smartphone pioneer and more than just a device with a larger screen. Even though we missed some real innovations this time, some features are just more developed compared to the rivals. A review of the iPhone 6 Plus will be available in a couple of days. The 4.7-inch display has 1,334 x 750 pixels. The IPS panel is once again very bright. Touch ID is still available. The smartphone is still made of aluminum and glass. iSight camera once again takes pictures with 8 MP. The camera of the new smartphone is not flush with the case anymore. The power adaptor with 5 Watts is a bit weak. 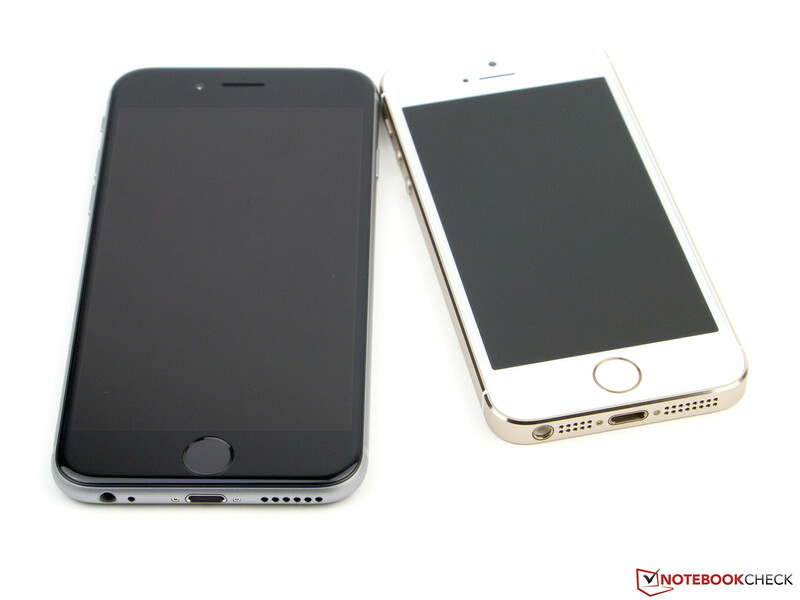 Our review unit is bigger than the iPhone 5s, but the iPhone 6 Plus is even bigger. The iPhone 6 between the predecessor and the larger sibling. We like the build quality and the new design. But the display is convincing as well and finally bigger. Apple's leadership in terms of innovations. The ac-WLAN standard is finally available but had issues during the review. LTE Cat. 6 would have been a nice feature as well. We also expect a more polished software from a premium product. Apple only includes a weak power adaptor, even though a more powerful version would have reduced the charging times. The rivals are Samsung Galaxy S5, HTC One M8, Sony Xperia Z2, LG G3, Huawei Ascend P7 and Nokia Lumia 930.